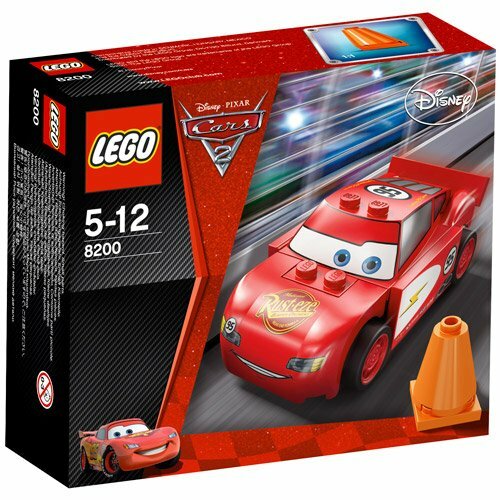 In 2011, Lego released their Cars 2 collection featuring loads of cool sets inspired by scenes and characters from the film. 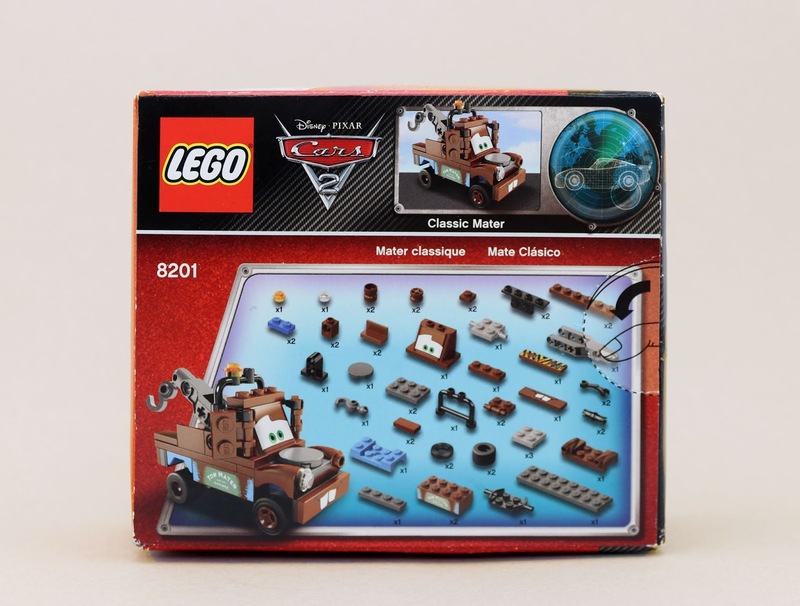 Here we have "Classic Mater"—Set 8201! 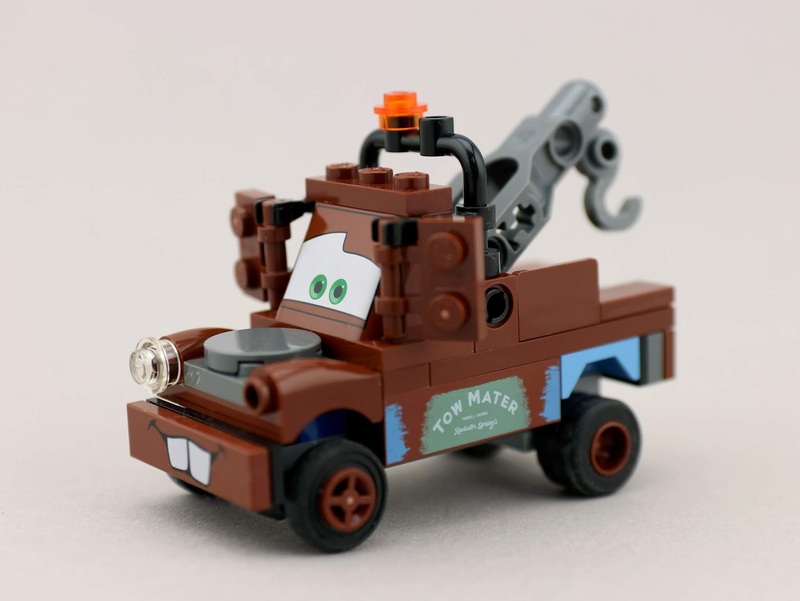 This is a tiny set (great for collectors running out of room like myself) comprised of only 52 pieces; and when built, Mater stands at only 2" tall x 3" long. I love it! It's such a nice quick build and it ended up fitting perfectly on my Cars shelf (since it can really fit just about anywhere). 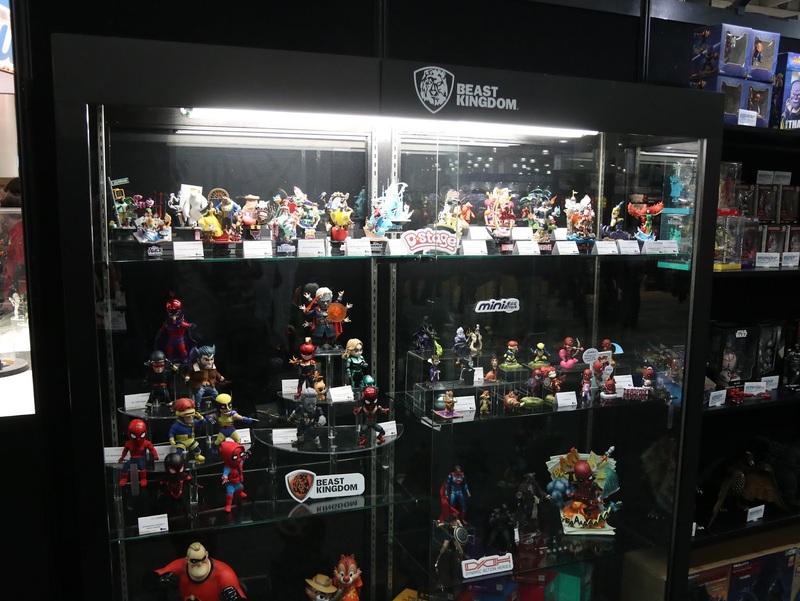 I was able to squeeze it in with my other collectibles seamlessly. I had fun this past Sunday putting this together, which took only about 10 minutes. 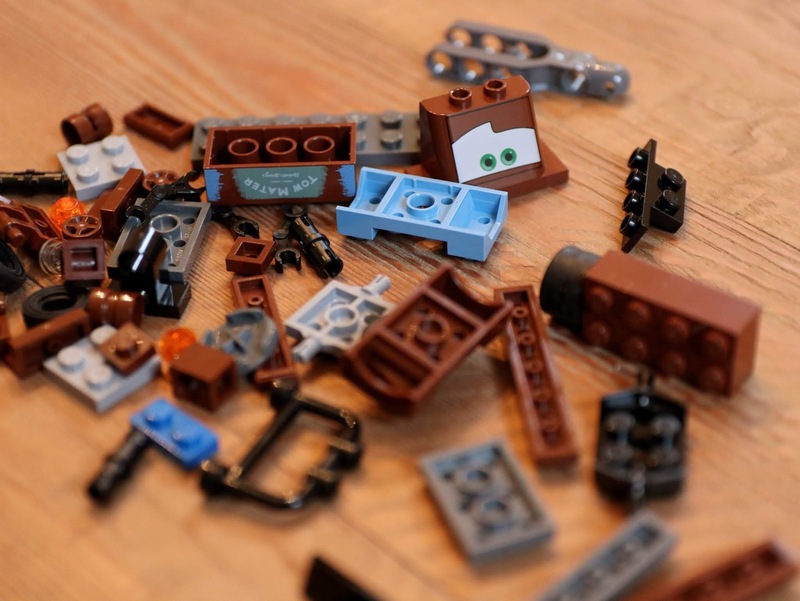 Building Legos always brings out the kid in me no matter what! 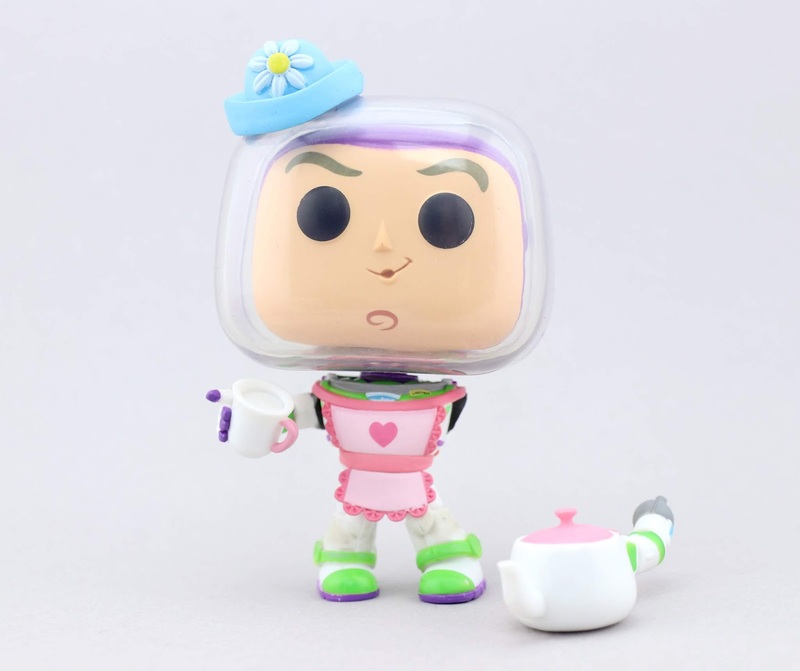 A big thanks to my brother in-law Johnny who surprised me with this for Christmas since he knows I love Pixar. He was able to find it at a consignment shop for a really cheap price. Thanks for being so thoughtful Johnny! ...and here he is completed! 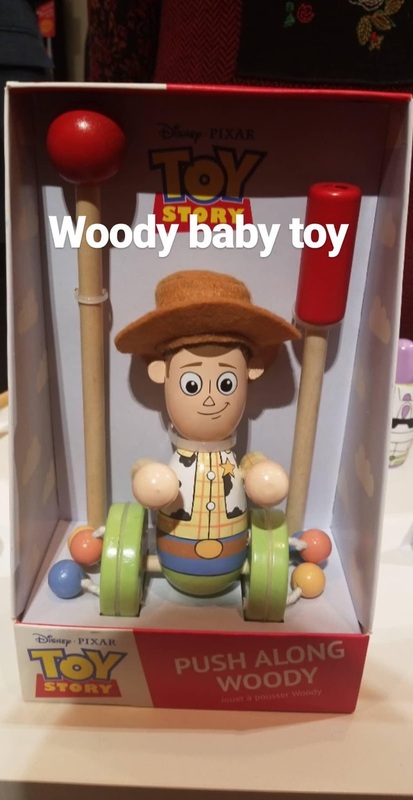 He looks great right? 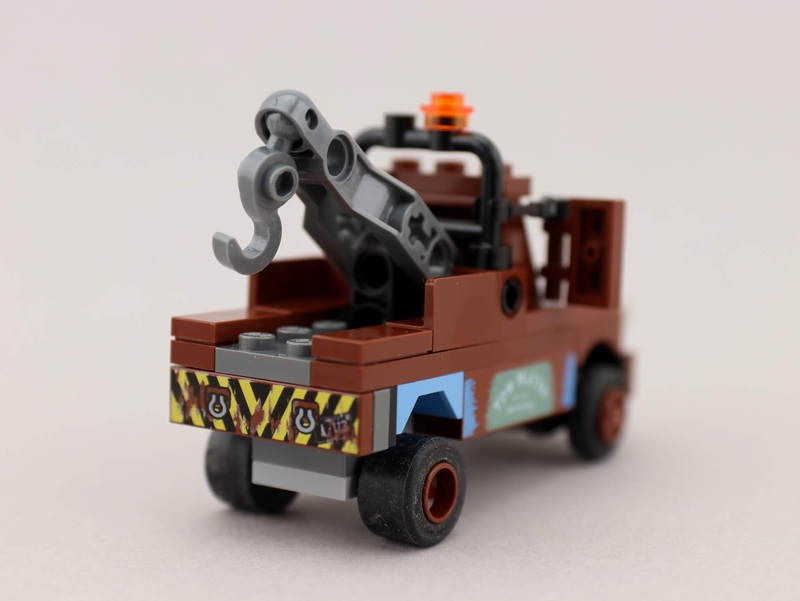 A tiny Lightning McQueen was also released to go along with this Mater (Set 8200, seen HERE). 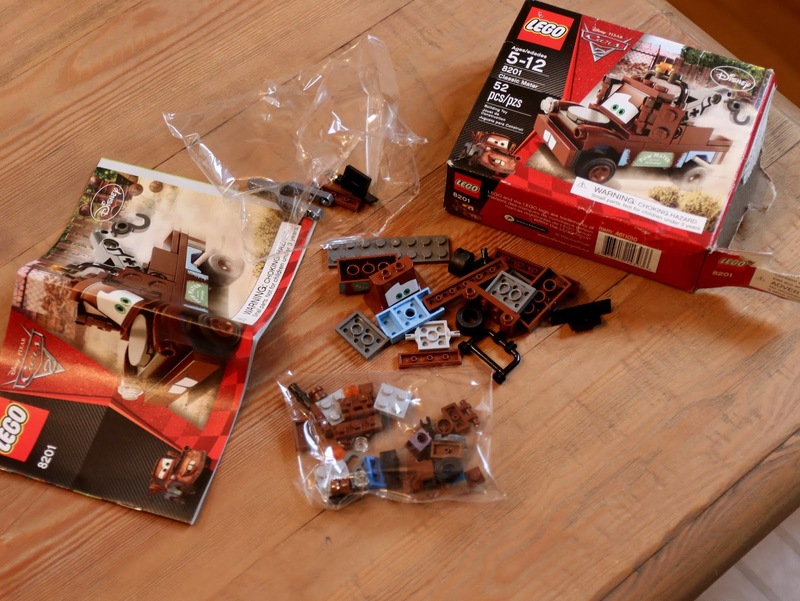 While I don't have that one, I did get a bigger version of Lightning—the"Ultimate Build" Set 8484—(seen HERE) back in 2011 for my 21st birthday. 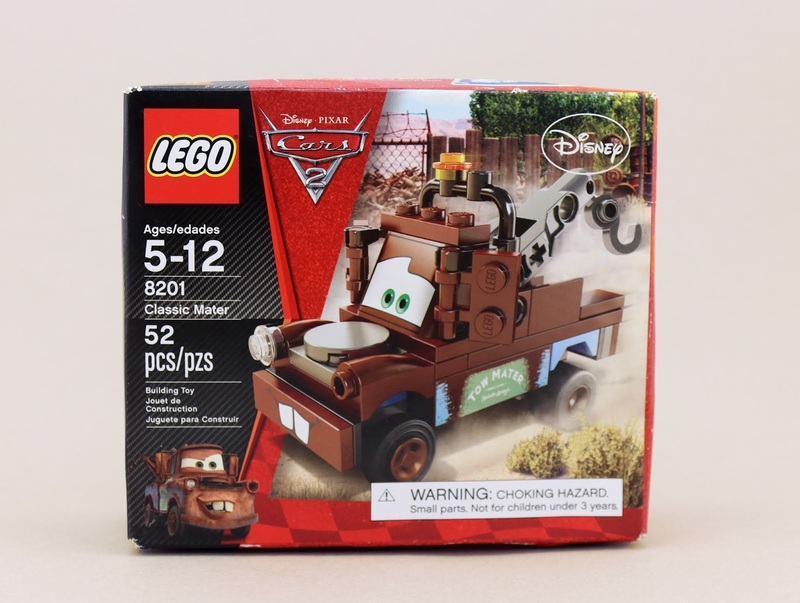 If you want to pick up this little Mater for your collection, check out Amazon using the link below or eBay HERE using this direct link. 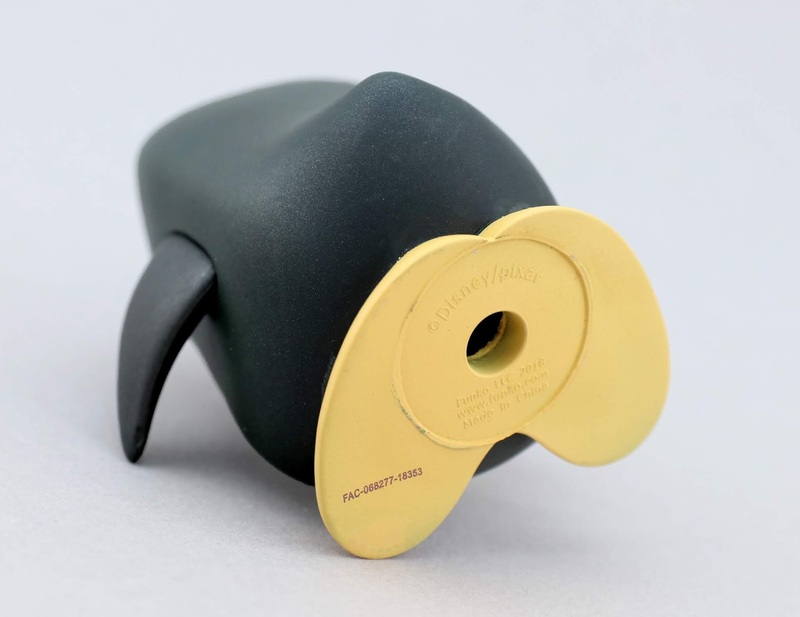 You can easily find it for as low as $12 these days (original retail price was just $6.99). Be sure to shout out your thoughts down in the comments! 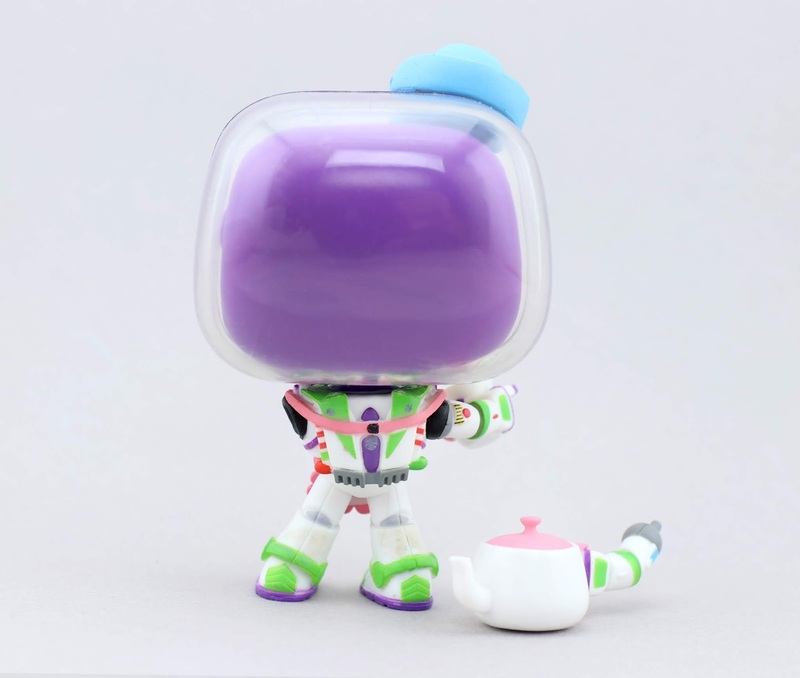 The newest wave of Toy Story Funko "POP!" 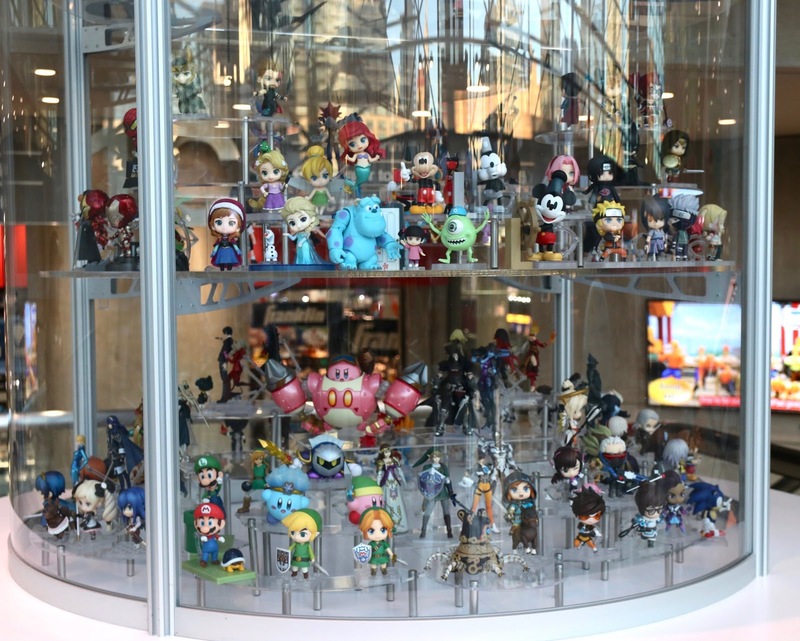 figures is here and it just may be the best selection yet! 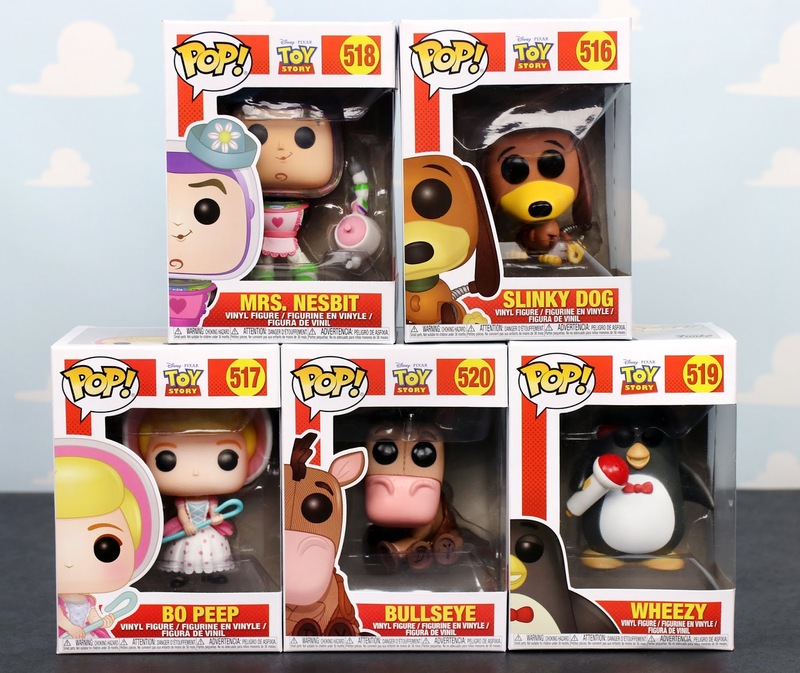 These started hitting Hot Topic, GameStop and BoxLunch Gifts (in store and online) a couple weeks back and I was able to snag all five on sale for $9 each: Mrs. Nesbit Buzz, Slinky Dog, Bo Peep, Bullseye and Wheezy! 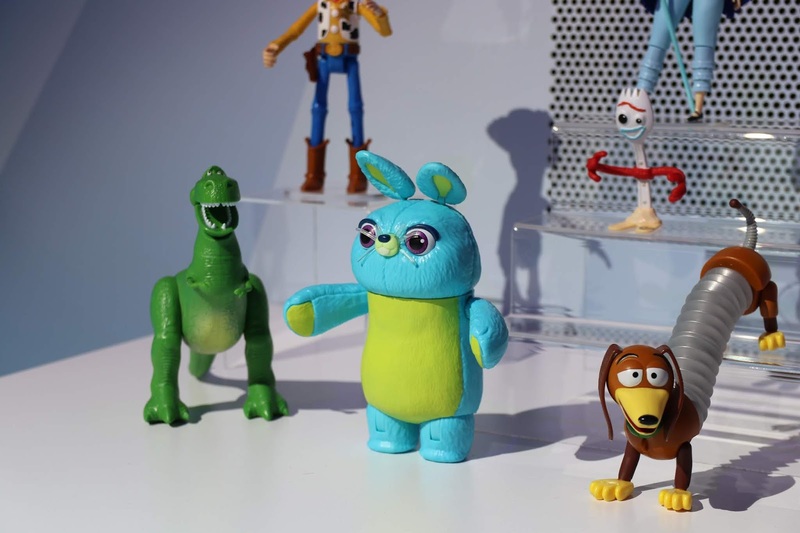 What an awesome variety of classic characters—each one as adorable as the next. 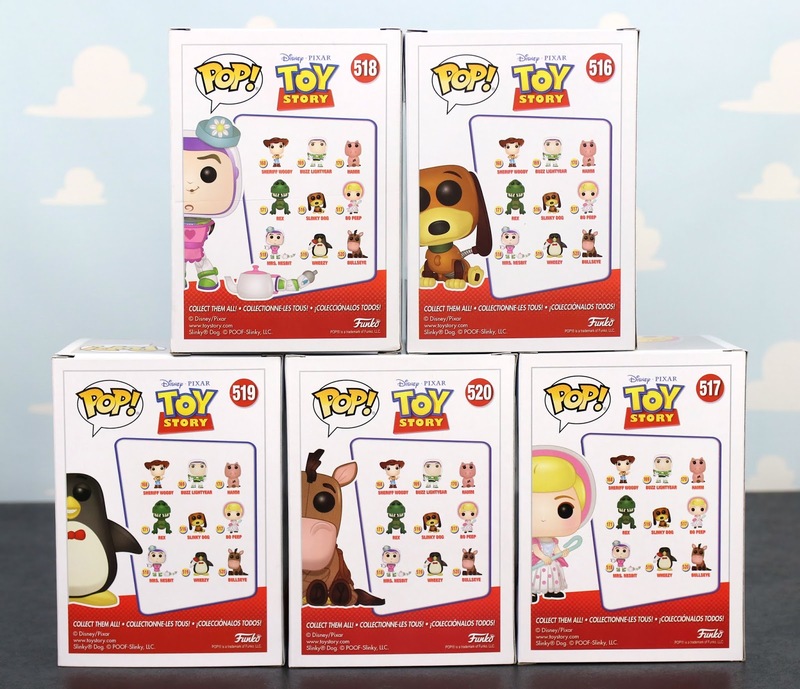 The rest of the characters seen on the back of the boxes (Woody, Buzz, Rex & Hamm) were released in 2015 for the film's 20th anniversary (see my post HERE). 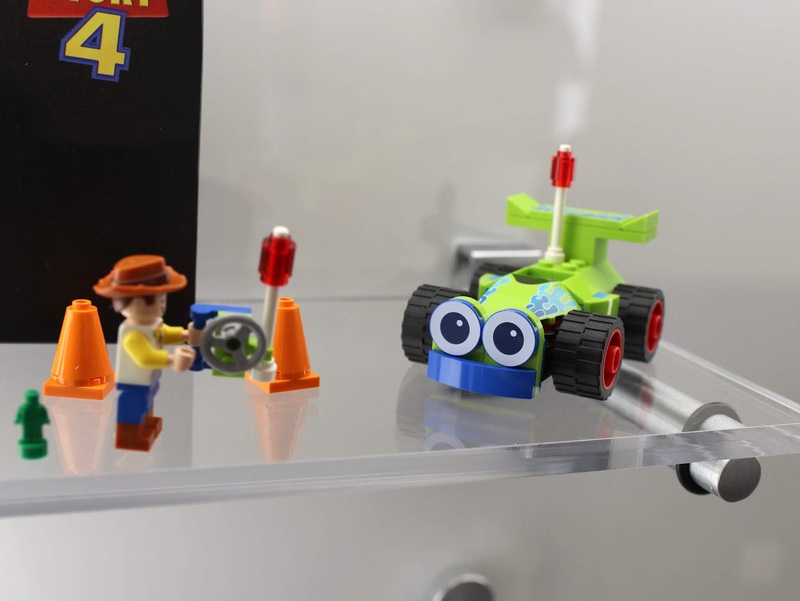 Since then there have been a few one-off releases as well, such as the Green Army Man, Black & White Woody and the Pizza Planet Truck. 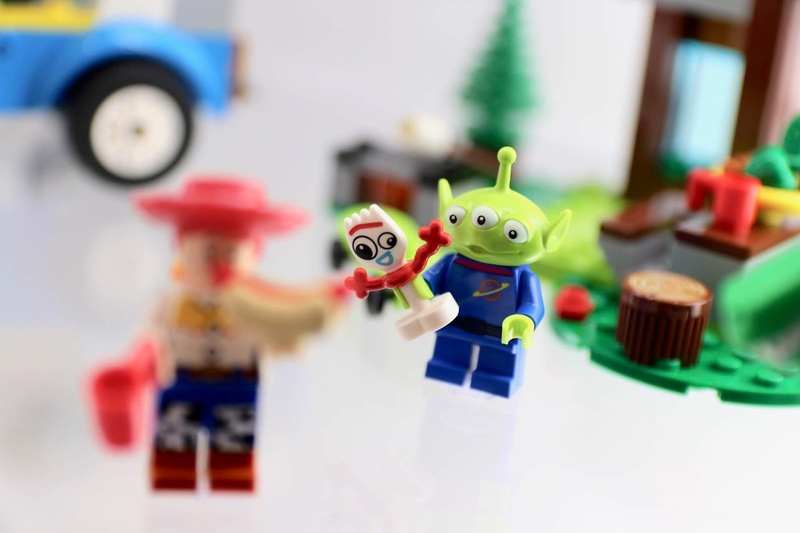 And let's not forget the original wave of six which featured Woody, Jessie, Buzz Lightyear, Lotso, Zurg and an Alien! 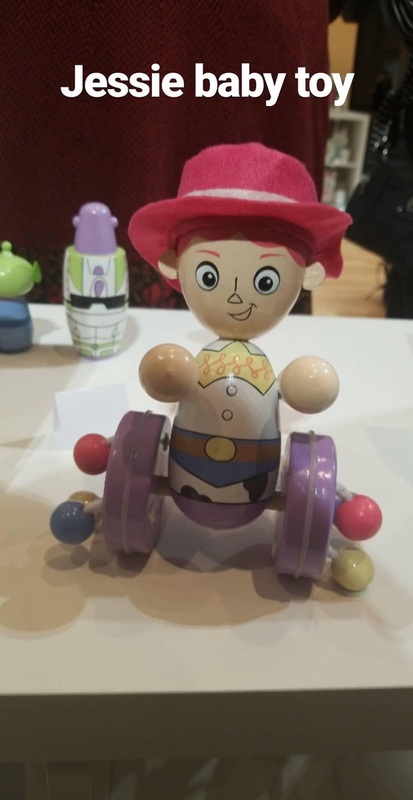 One more is right around the corner as well (as part of this new wave)—Woody riding RC! 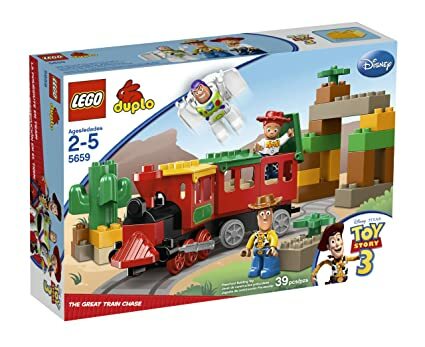 That set should be hitting any day now, so look for a review of it right here real soon. I'm just so excited about how all these turned out. I mean, come on! 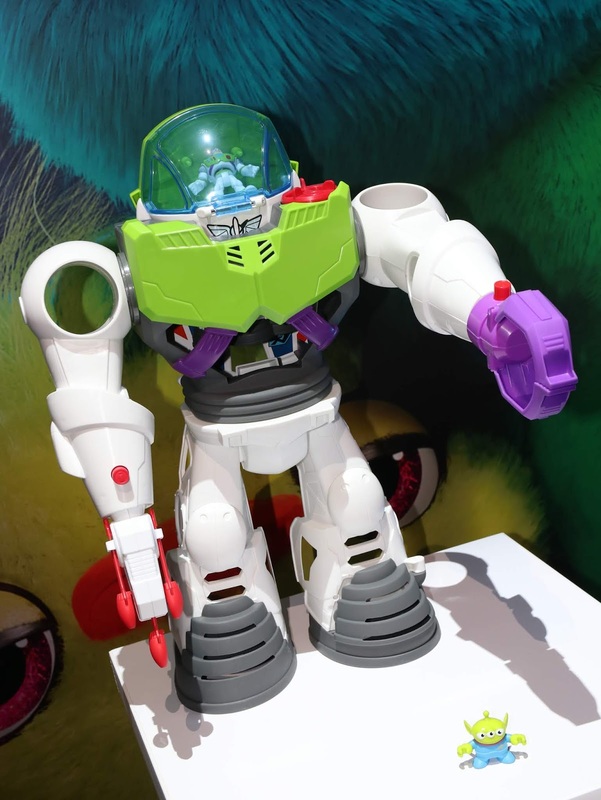 That Nesbit Buzz with the goofy expression and detached arm? Priceless. 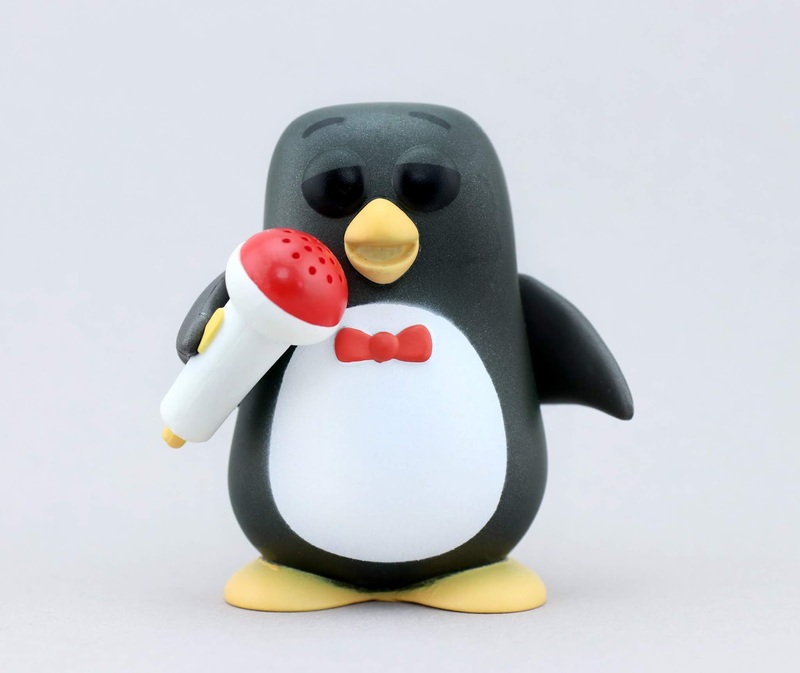 Wheezy with Mr. Mike's microphone? Slinky with his adorable sitting pose? 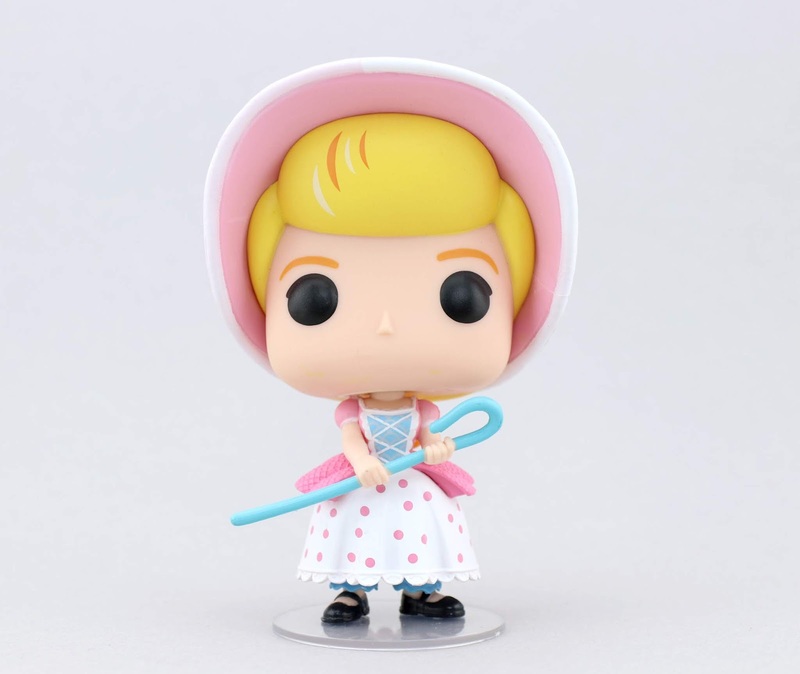 Bo Peep looking as awesome as ever? 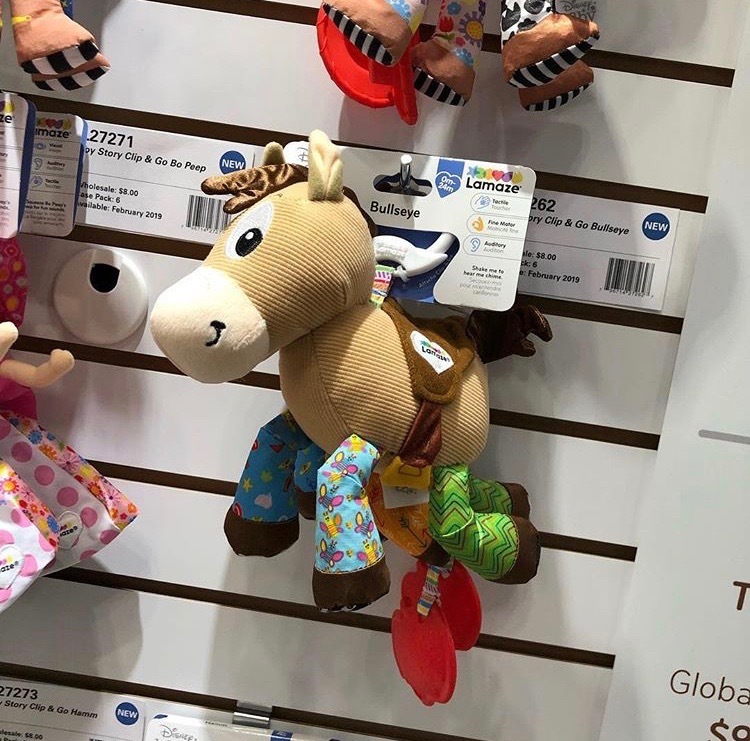 Bullseye with his "Andy" lettering on his feet from the end of Toy Story 2? It's all too perfect, I can't even. 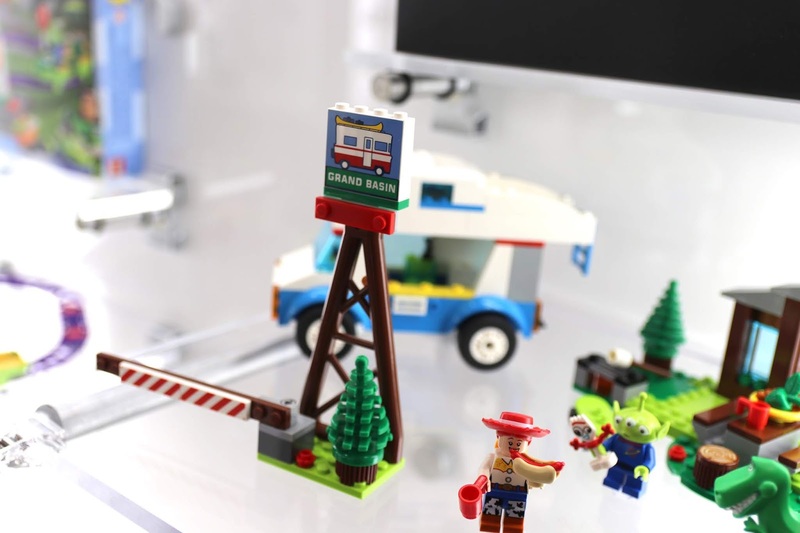 Let's take a closer, detailed look at each one below! 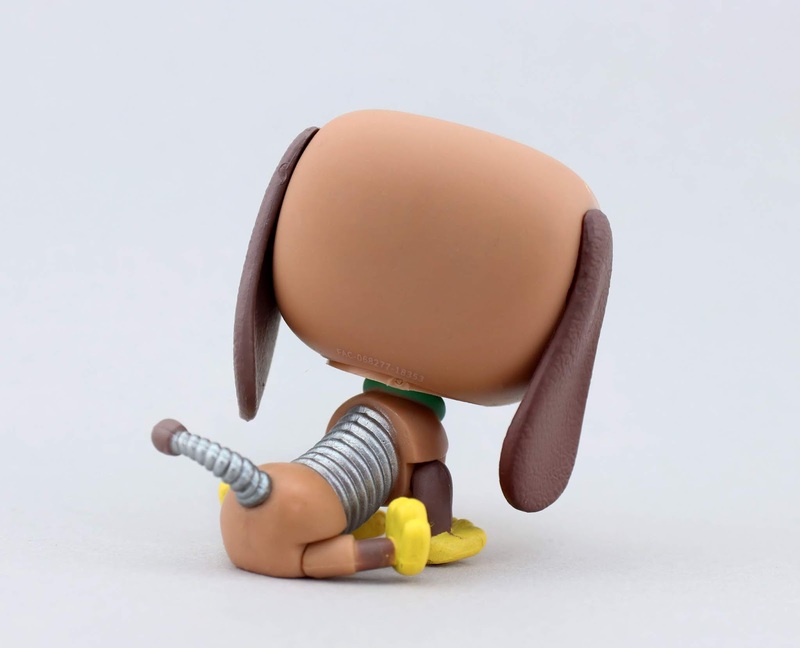 I really love taking Funko POP! "glam shots." 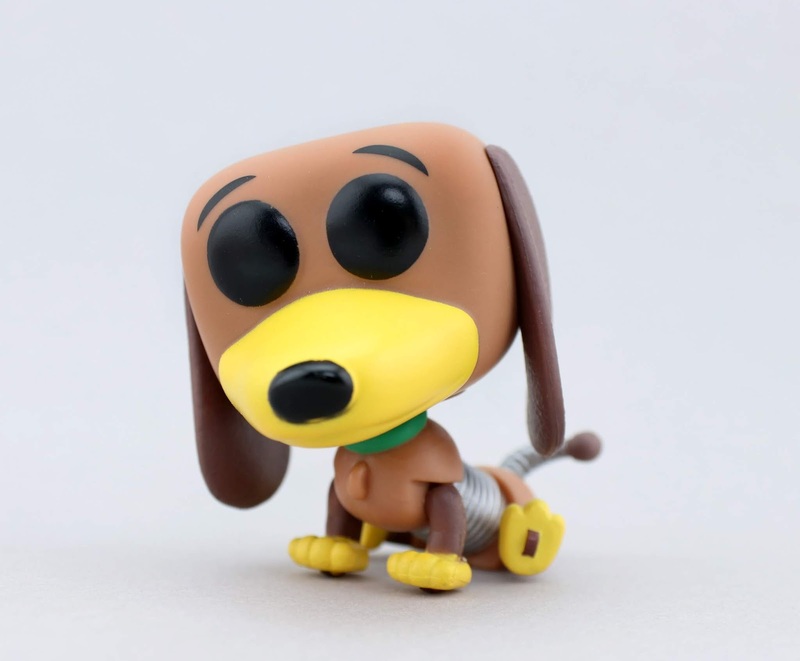 Love the detail of the classic squeak toy hole underneath his feet, just like the character has in the film. It's incredibly hard to pick a favorite since they're all amazing and SO cute. If I HAD to choose though, I'd say possibly Bullseye? 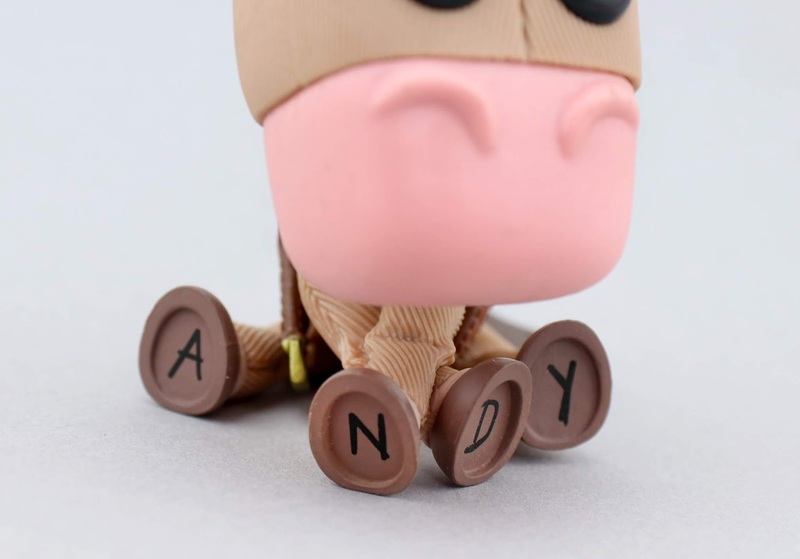 His cute, floppy sitting pose, the Andy lettering on his feet and his fabric-esque texturing make this one extra perfect for me. 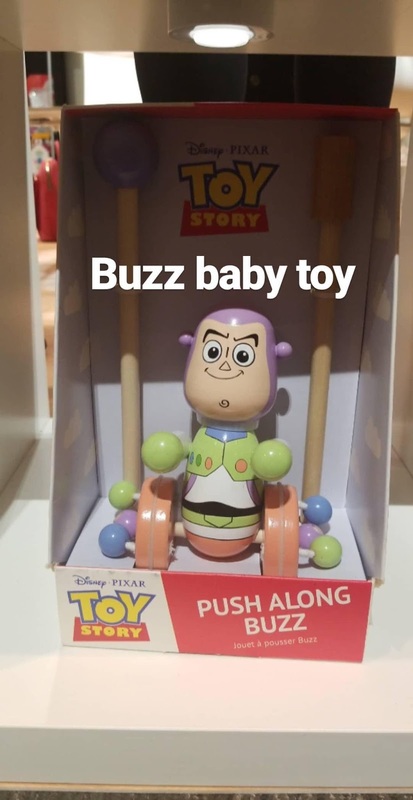 I also have to give points to Nesbit Buzz for being just so funny and clever in his design; that iconic moment is captured flawlessly. 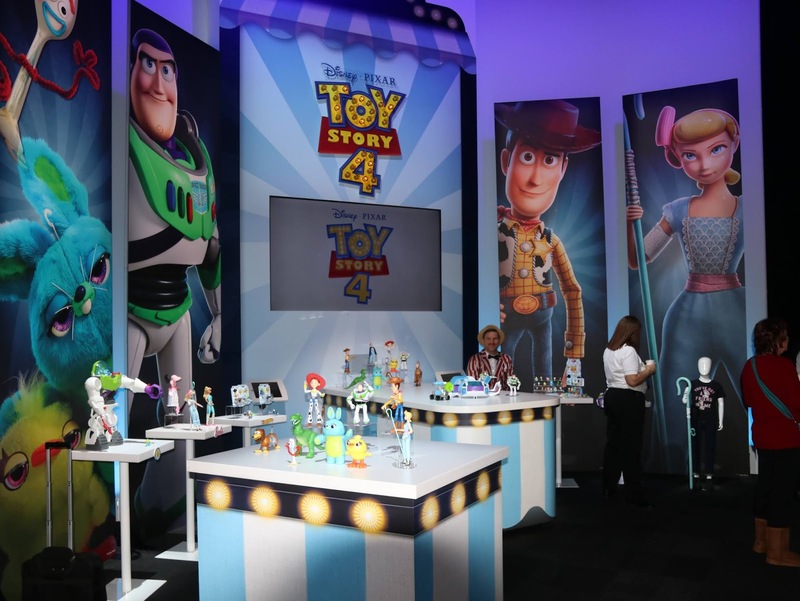 With Toy Story 4 hitting theaters in June, expect many more Toy Story Funko POP! 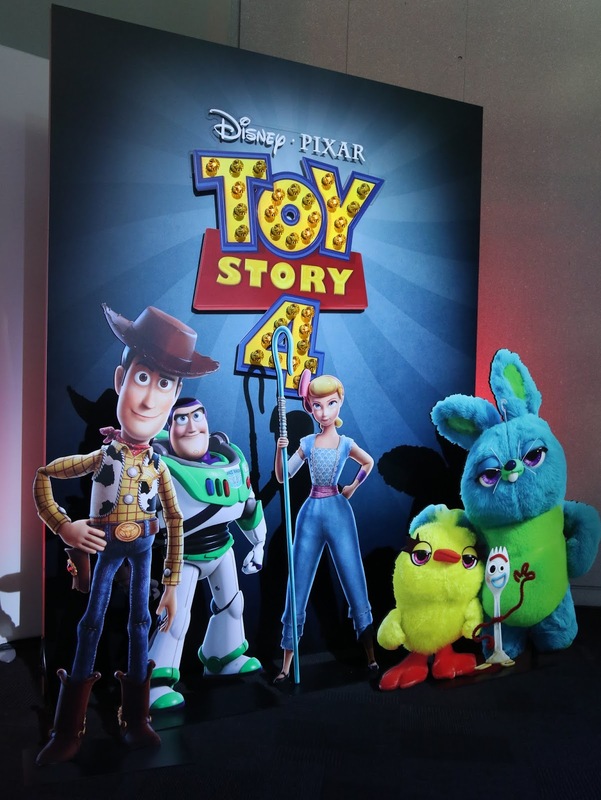 characters (probably mostly from the new film) to be released later this spring. I've heard there's gonna be a bunch and I can't wait for that reveal to drop. Sorry wallet, it is what it is. Alrighty, I guess that's all I have for you to today, but of course I need to sign off with my questions. Which one is your fave here out of these five? 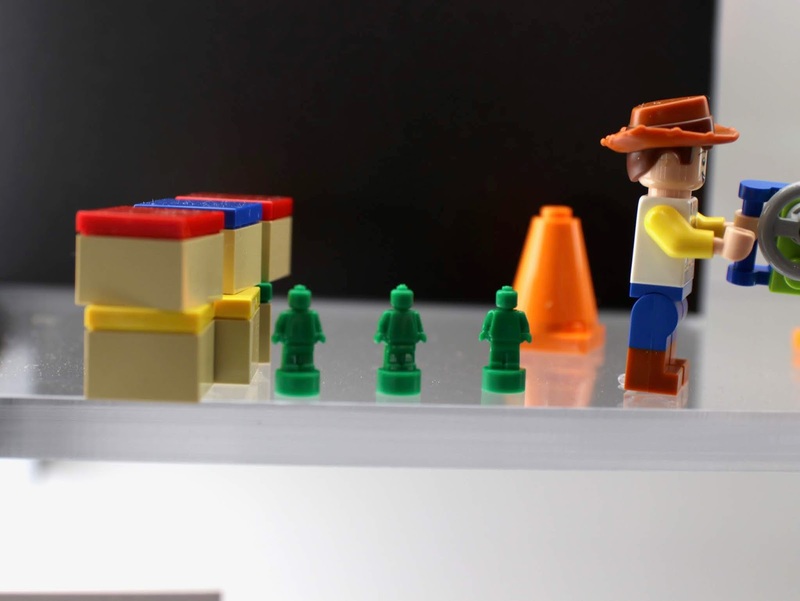 What details do you appreciate the most? Out of the first three movies, who would you like to see in the next wave? 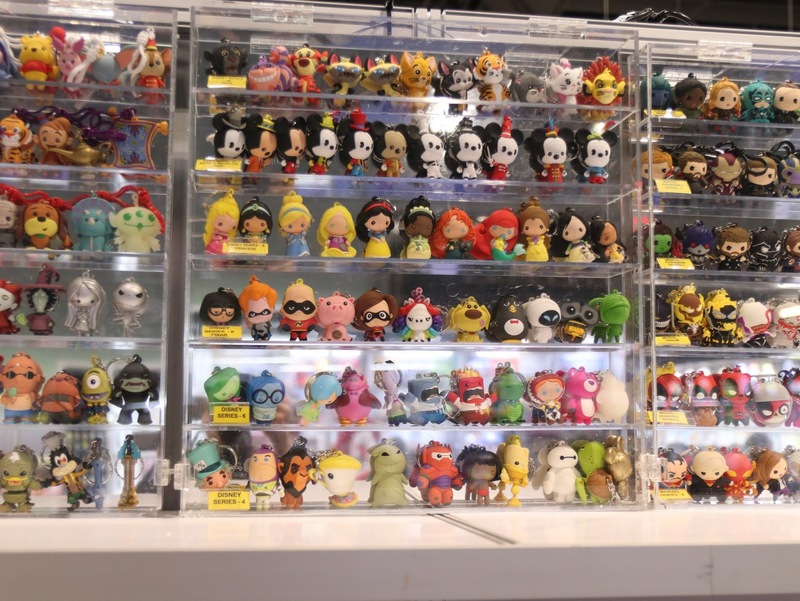 Andy's toys are mostly covered now, so could they go onto Bonnie's toys and/or characters from Sunnyside? Time will tell! Hi everyone! 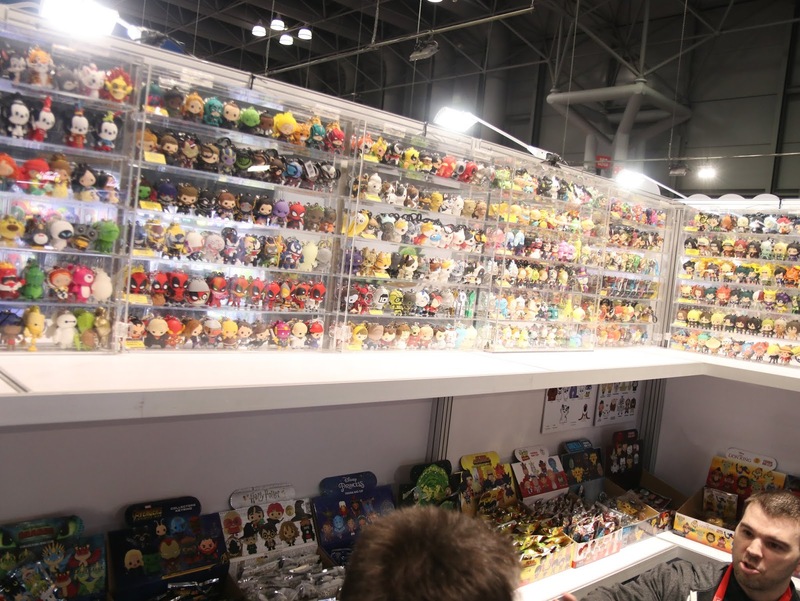 This past weekend was one of my favorite annual events, something I look forward to every February...New York Toy Fair! 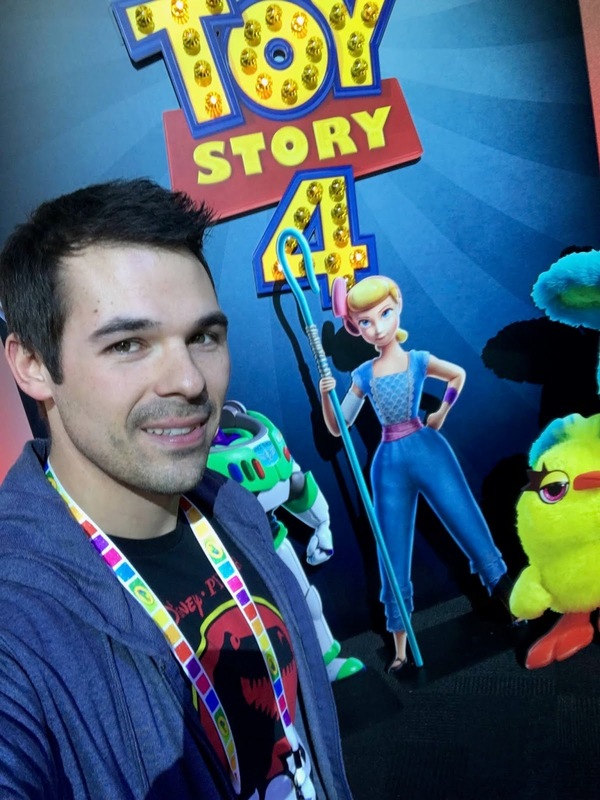 While I'm usually at home getting the updates from my computer, constantly refreshing toy news sites/social media for the latest reveals, this time (for the first time) I actually got to attend! 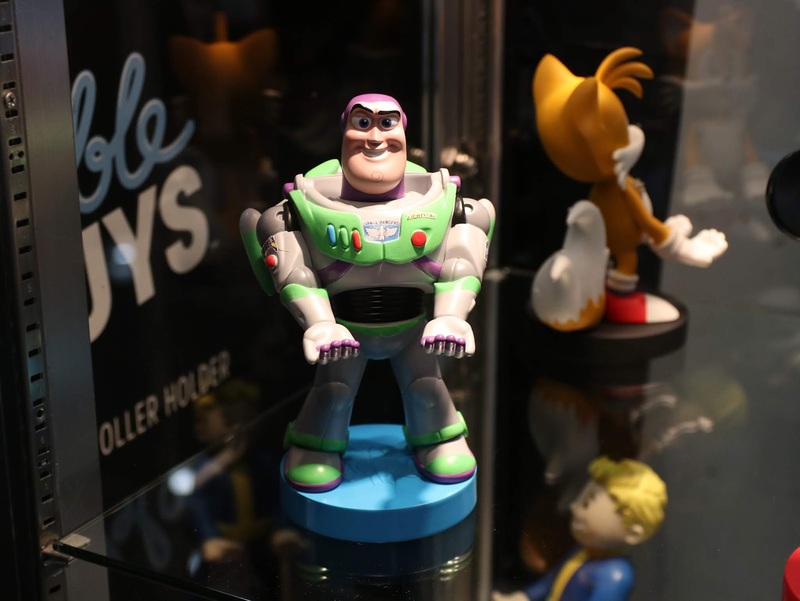 I've been following along with Toy Fair since I was a kid, so it was surreal to be there as part of the press covering the event. 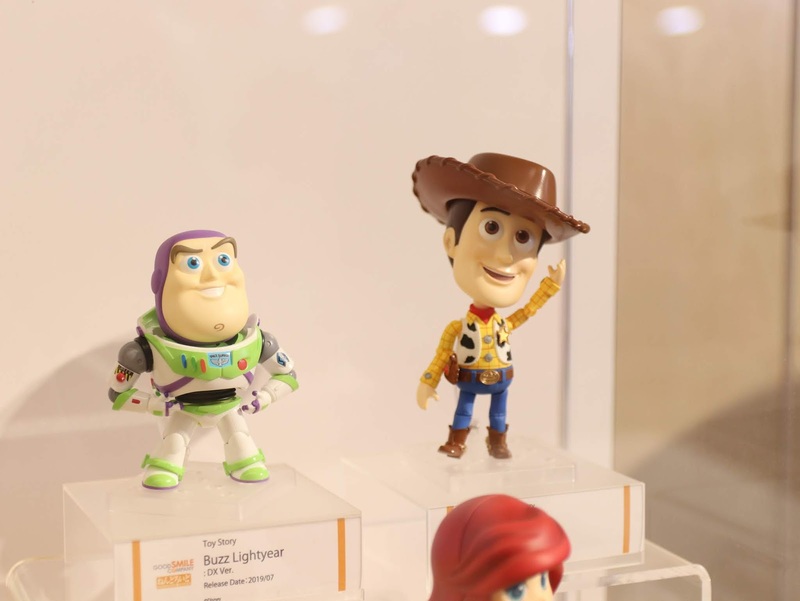 Instead of searching the internet for all the Pixar toy updates, I could finally provide the news myself! And that's exactly what I've compiled here. 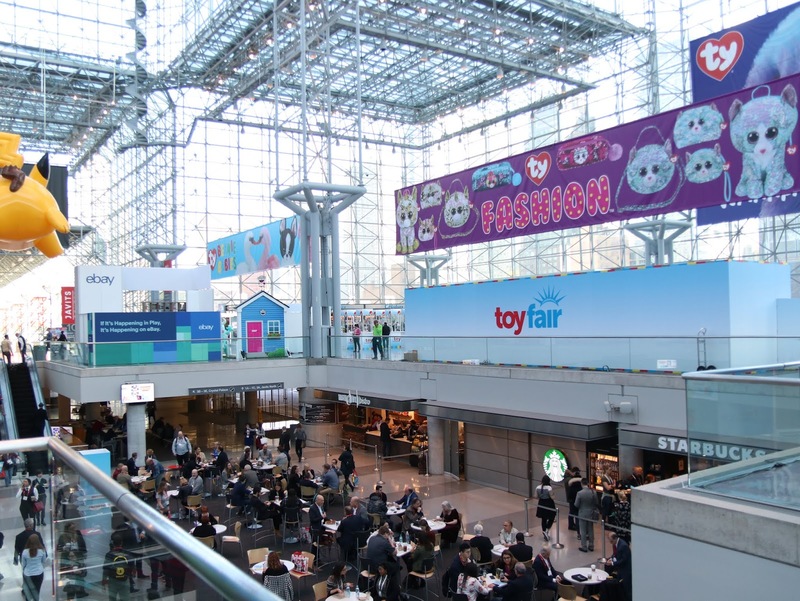 This event is held each year at the Jacob K. Javits Convention Center and is only open to the toy trade– meaning toy industry professionals, retailers and press representatives. 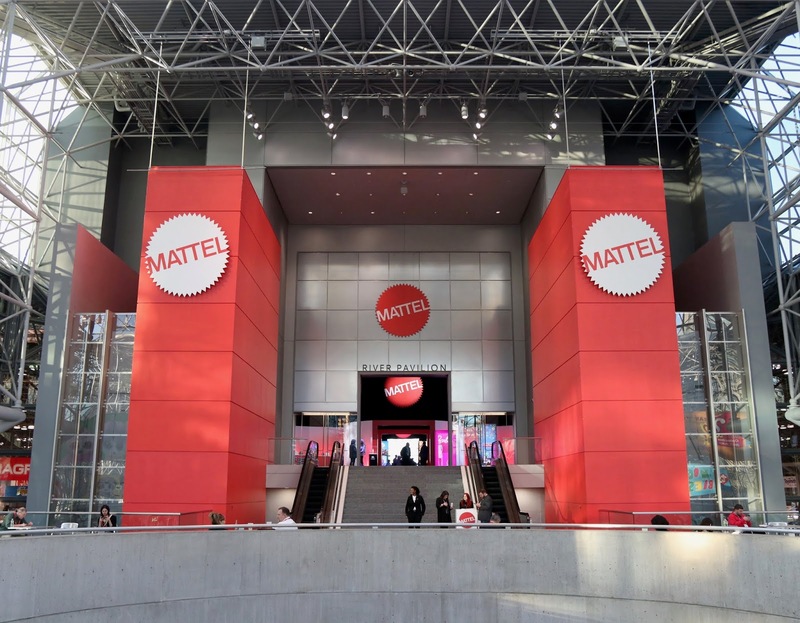 The 2019 NYTF began last Saturday (Feb. 16th) and ran through yesterday (Feb. 19th). It was a last minute idea of mine to attend and I honestly can't believe I was able to make it happen. I literally had the thought to go on Friday morning when I woke up and then took it from there. I quickly made a business card before leaving for work, applied for press with my credentials and emailed a contact I had to help fast-track my application. Late that night I received my approval email! 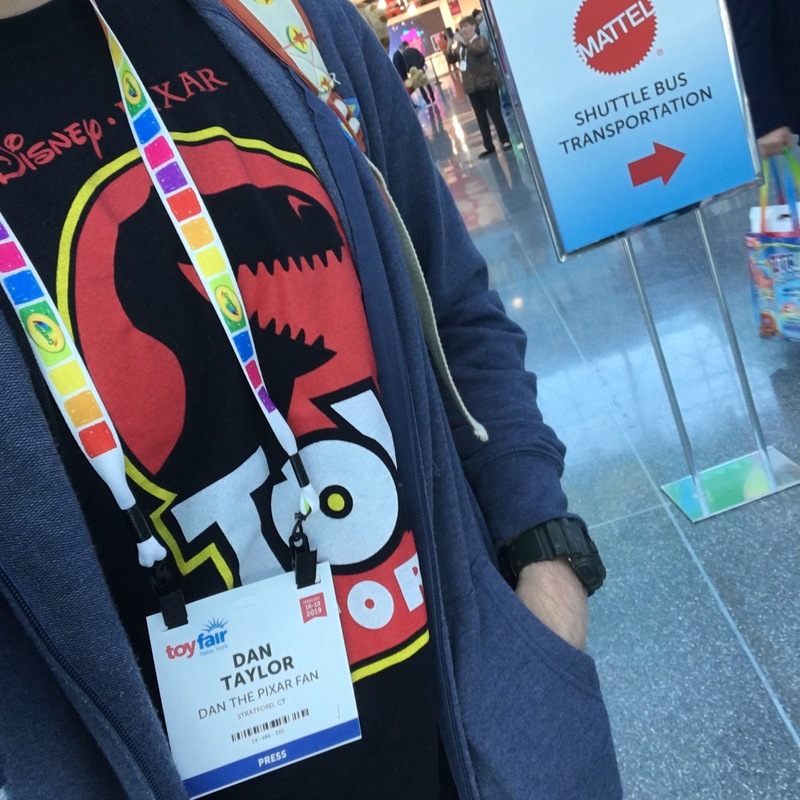 I took off for the convention early Saturday morning, arrived on time, picked up my badge and began my fun—I mean work. ;) What a whirlwind! 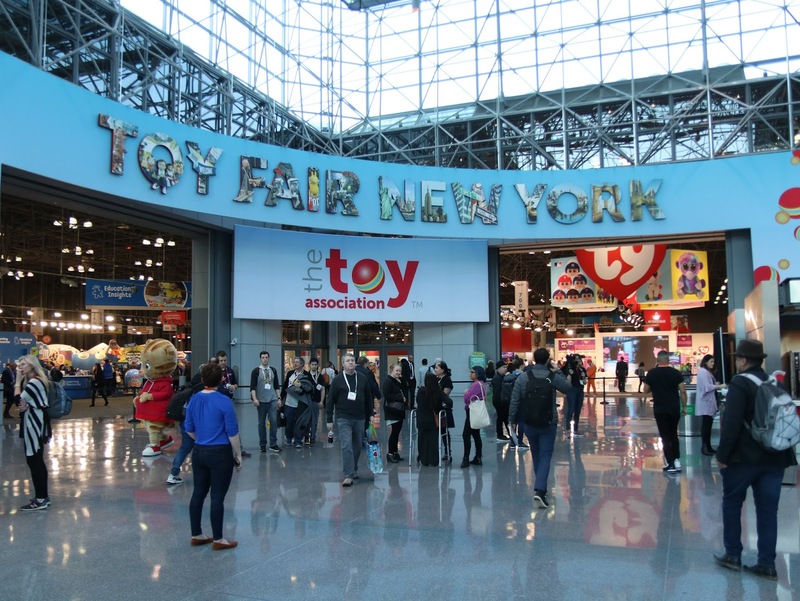 A big shout out to my friends over at Tubey Toys for sharing their knowledge with me about applying for Toy Fair and for the support/encouragement. 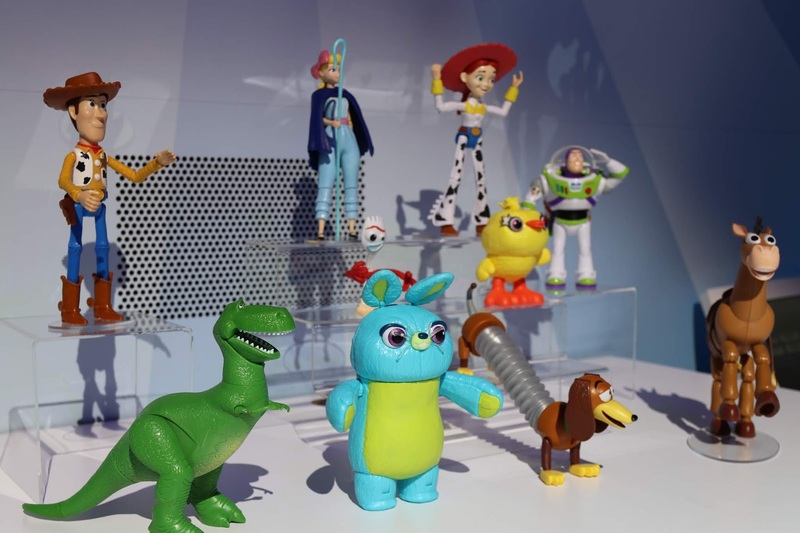 Below is a summary (by company) of all the latest and greatest Pixar merch I discovered while walking the show floor, some available now and some coming soon/later this year! 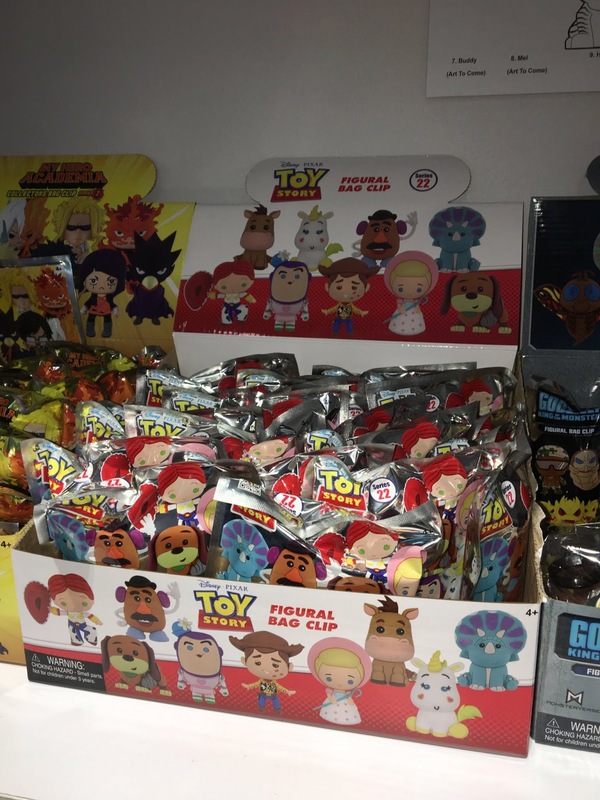 If you missed my updates on Instagram, you can check out my NYTF2019 saved story (which includes some video updates not seen here). 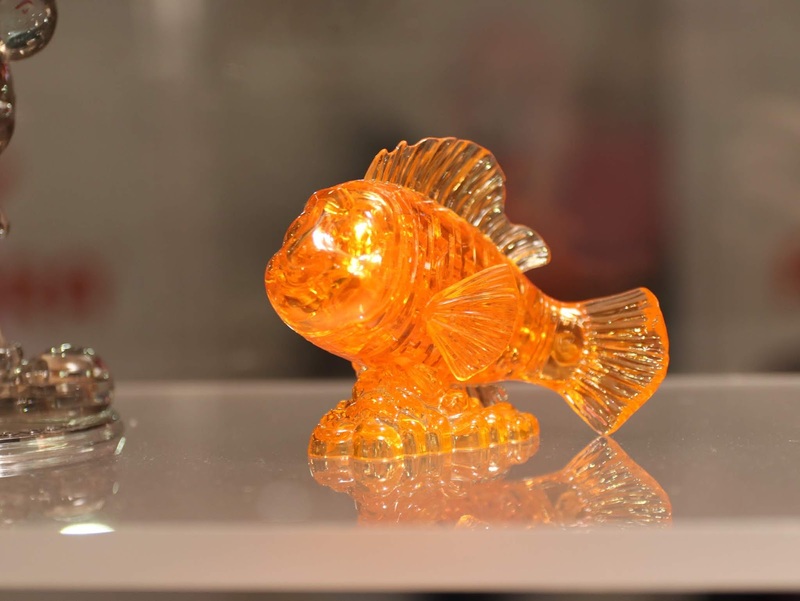 The company University Games showed off their popular "BePuzzled" line of 3D Crystal Puzzles! 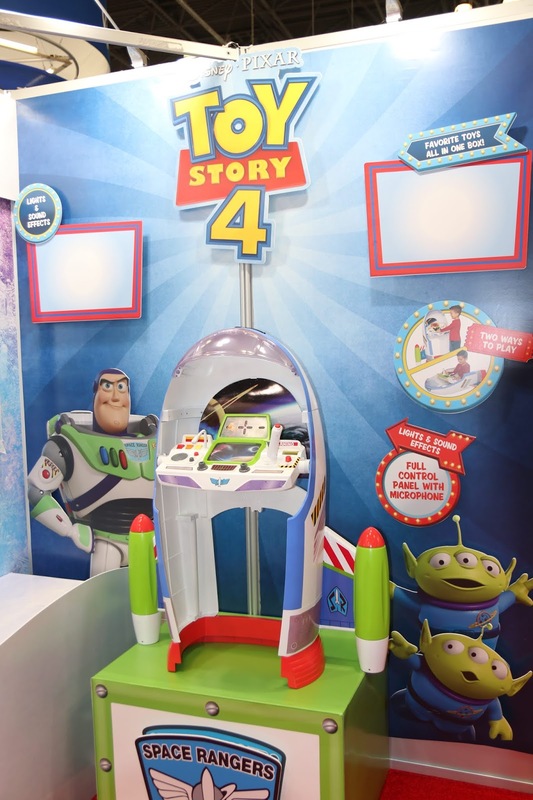 Buzz and the trio of aliens are back (rebranded Toy Story 4) and Nemo was on display too. I haven't collected any of these, but I might have to now! Very cool to see in person. 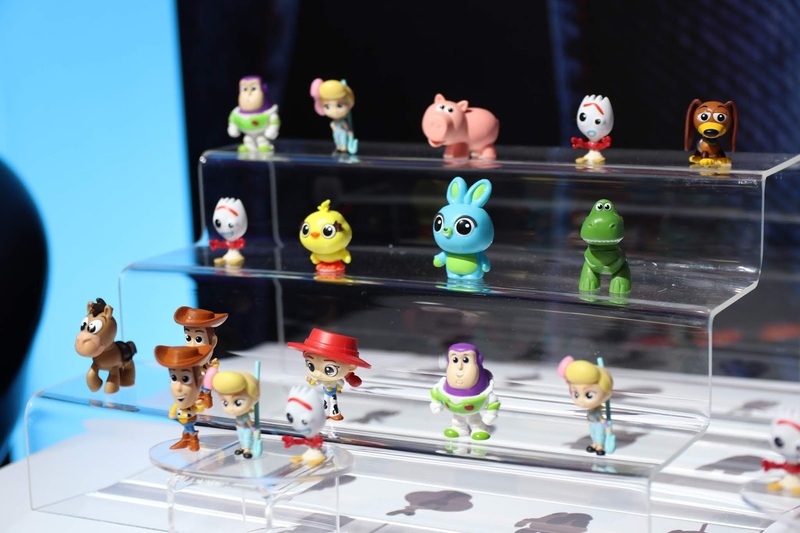 From Monogram, Toy Story figural key ring characters are coming this spring! 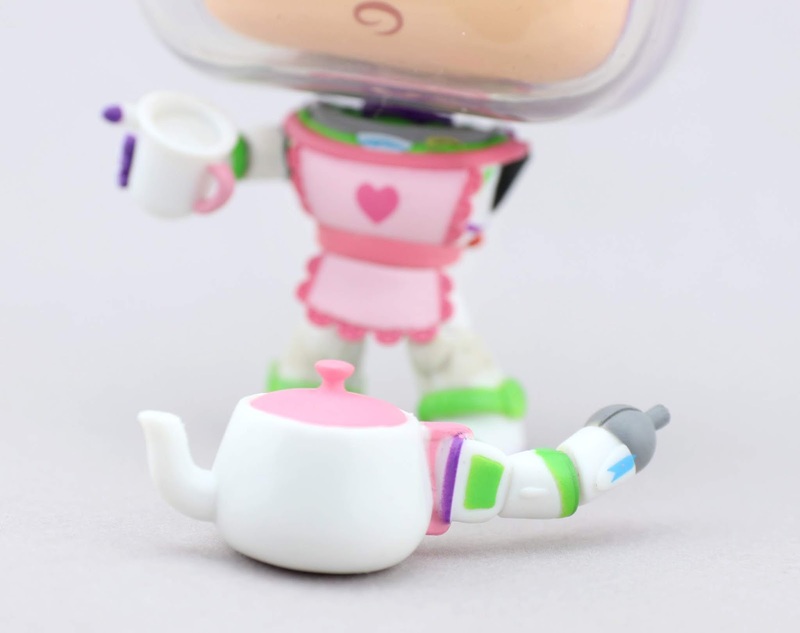 How adorable is this series? You can definitely expect a review of these as soon as I can get my hands on them. 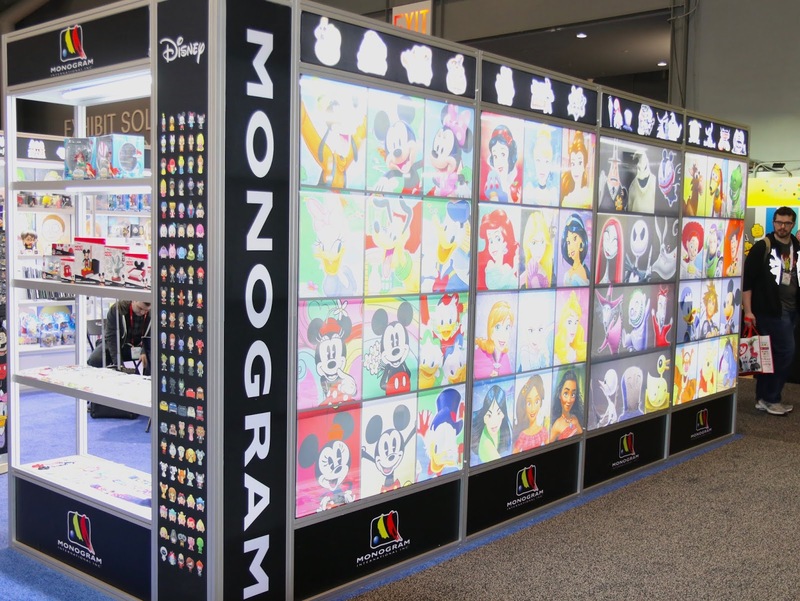 Oh and how awesome is this booth with all their key chains on display? 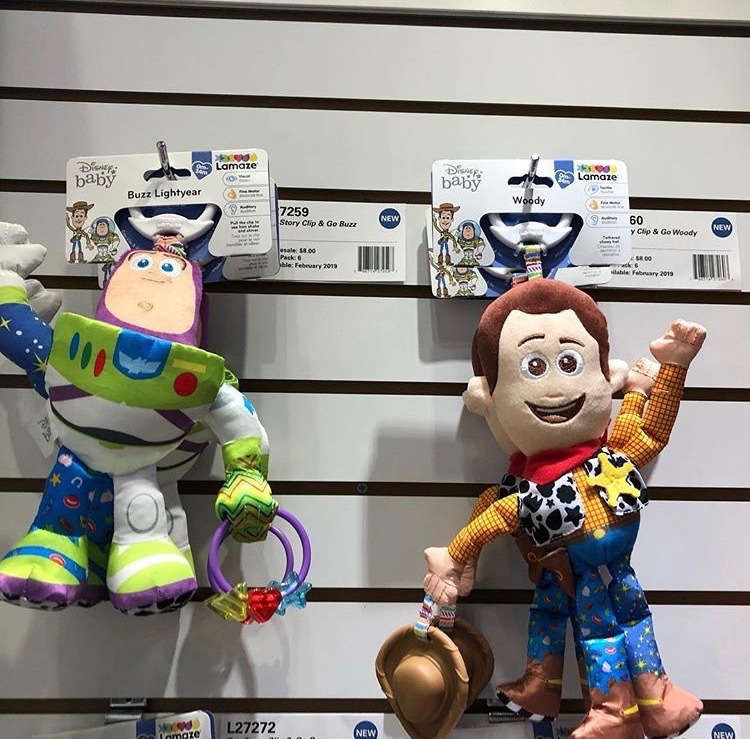 Golly-bob howdy! 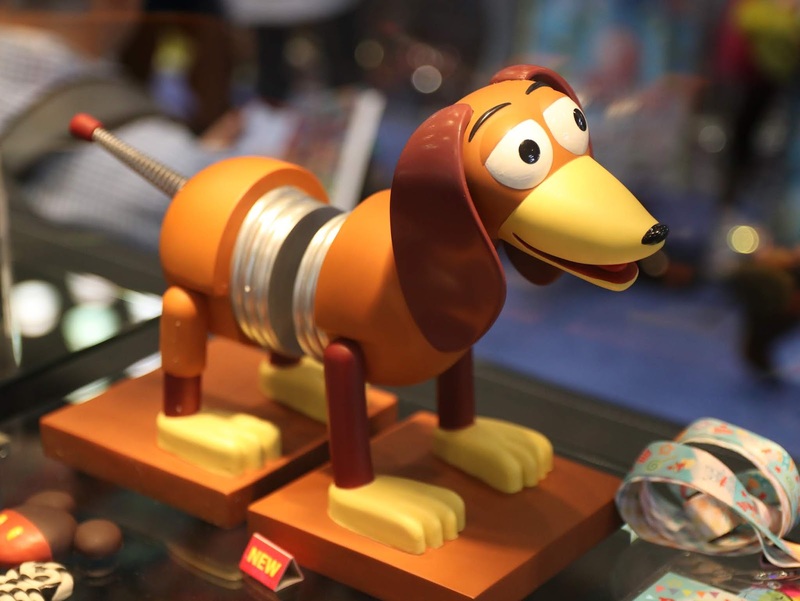 Also by Monogram, check out this these outstanding Toy Story Slinky bookends. 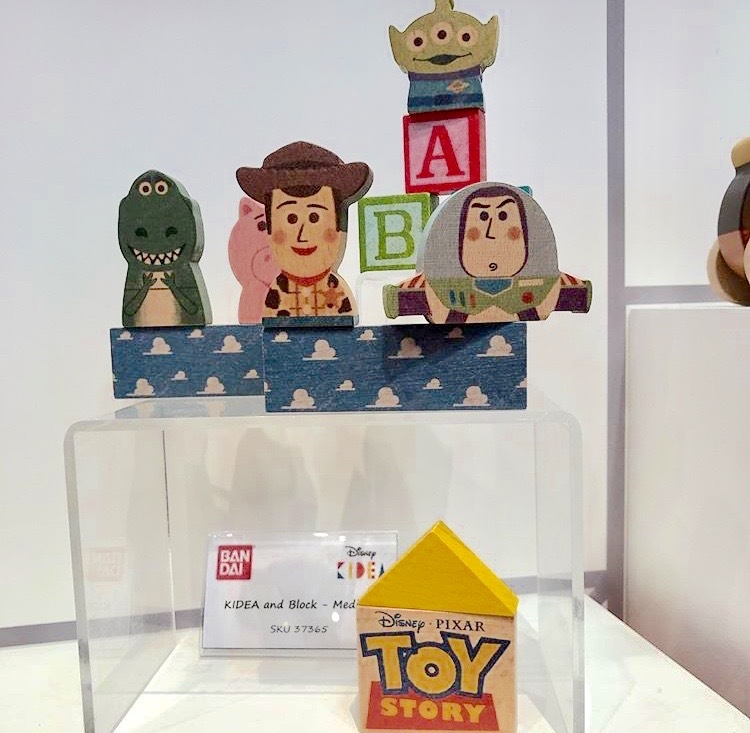 These are a must, releasing this spring at Box Lunch Gifts! 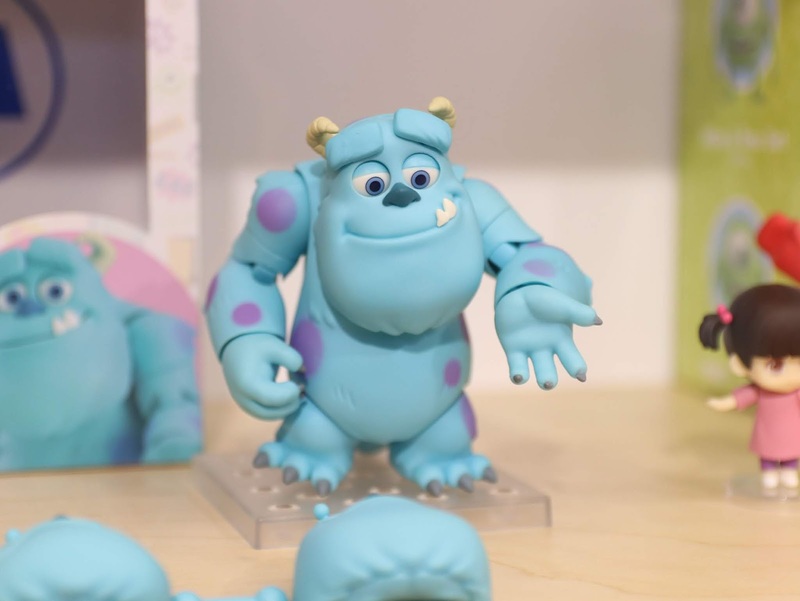 Good Smile showed off their amazing new Mike and Sulley Nendoroid figures (released last fall) as well as their upcoming Buzz and Woody figures (which will be released a little later this year)! These things are absolutely incredible. 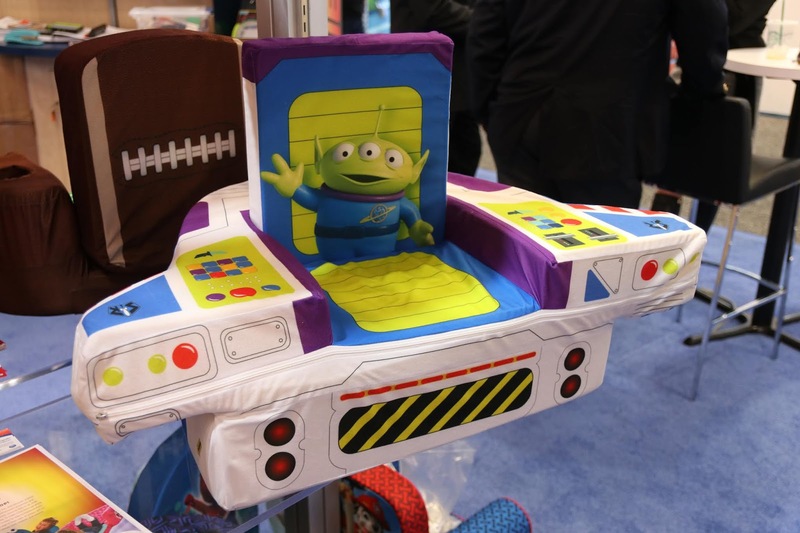 Spotted this cute & soft foam Buzz spaceship/alien Toy Story chair by Marshmallow Kids Furniture. 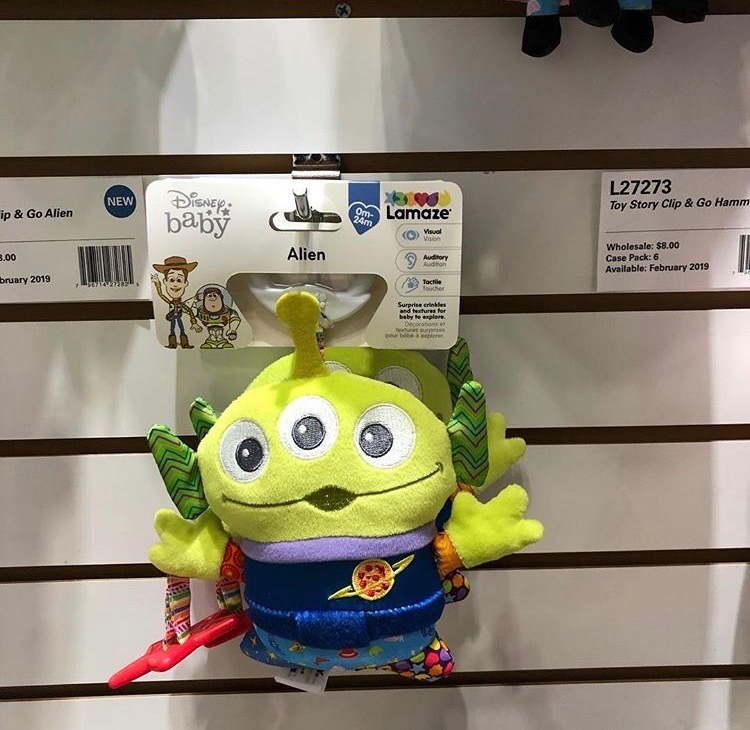 It will be released this fall and retails for $49.99. 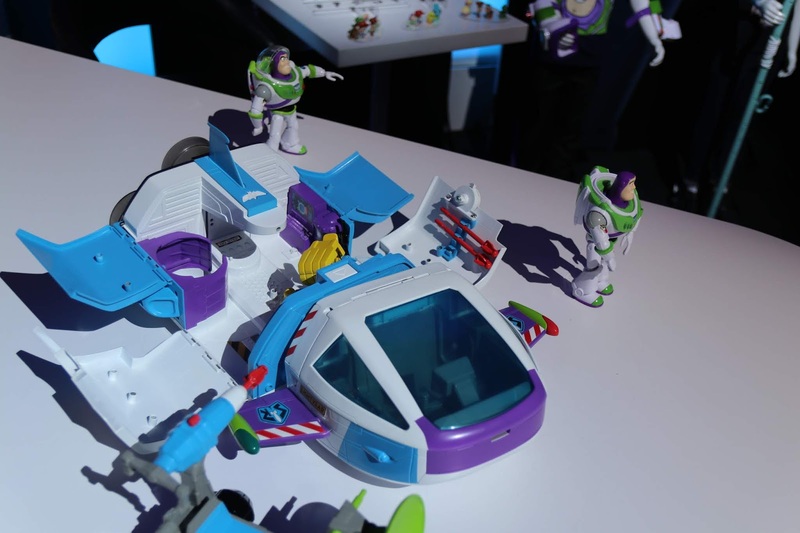 My friends over at Jakks Pacific revealed their Toy Story 4 Buzz Lightyear Star Command Center (this was just a prototype though, this product isn't set to "launch" until fall). 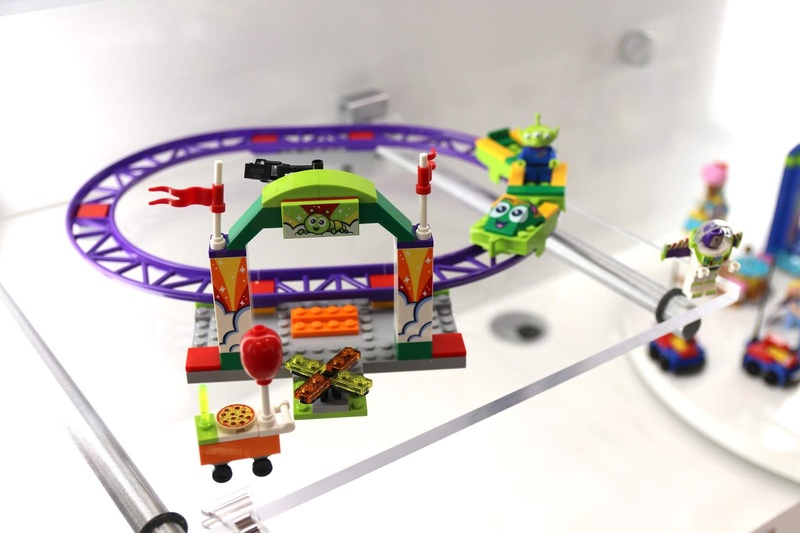 They were still working out the kinks, but I think it will end up being pretty neat for kids ages 2-4! 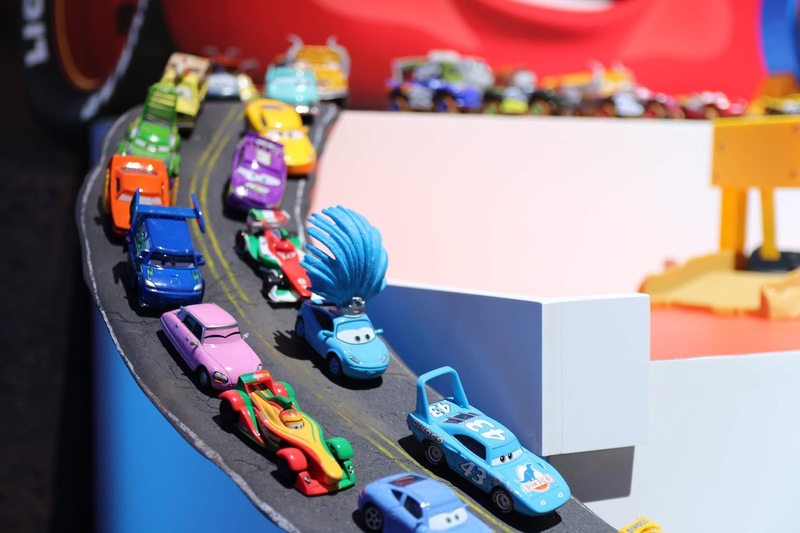 Check out the latest and upcoming from Mattel featuring Cars and Toy Story 4! 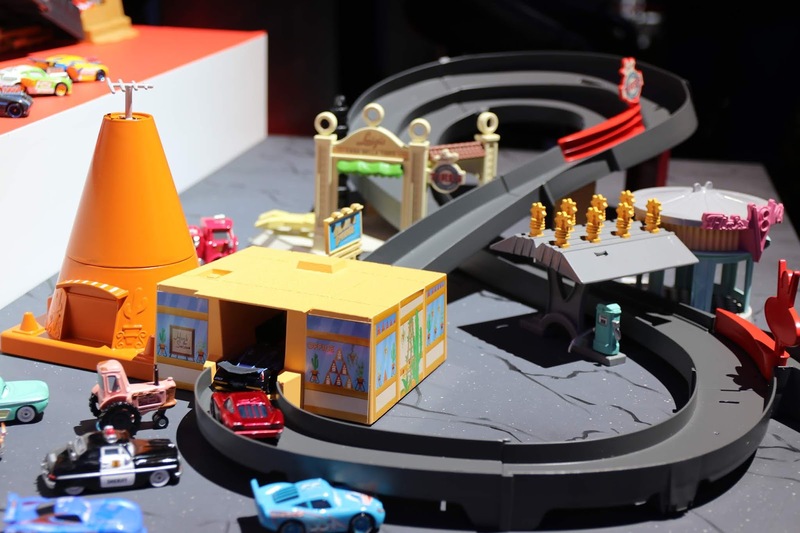 Not too much was shown for Cars, but we did get a peek at a new "Drag Racing" line which includes a track set and six singles to start. 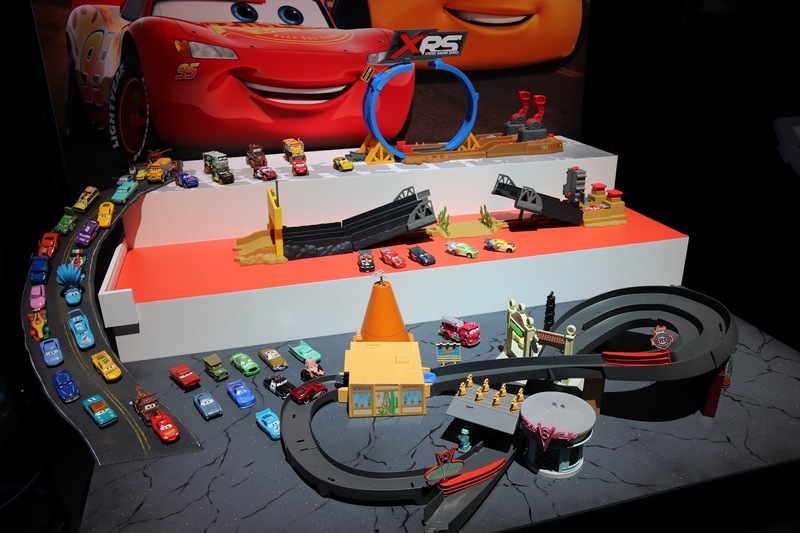 Two other playsets were shown as well, the "Race Around Radiator Springs" motorized track set and the "XRS Mud Racing Crash Challenge." 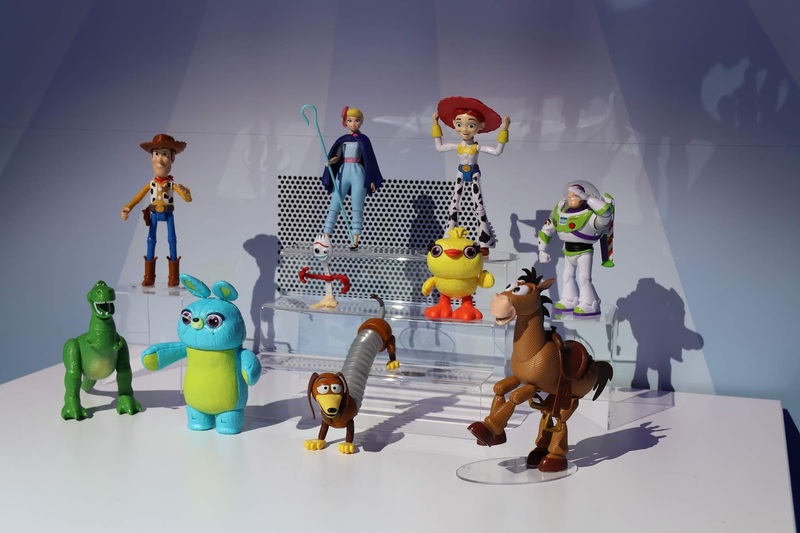 Now onto what everyone's been waiting for...Mattel's main event this year, Toy Story 4 merch! Shelf date is April 22nd. 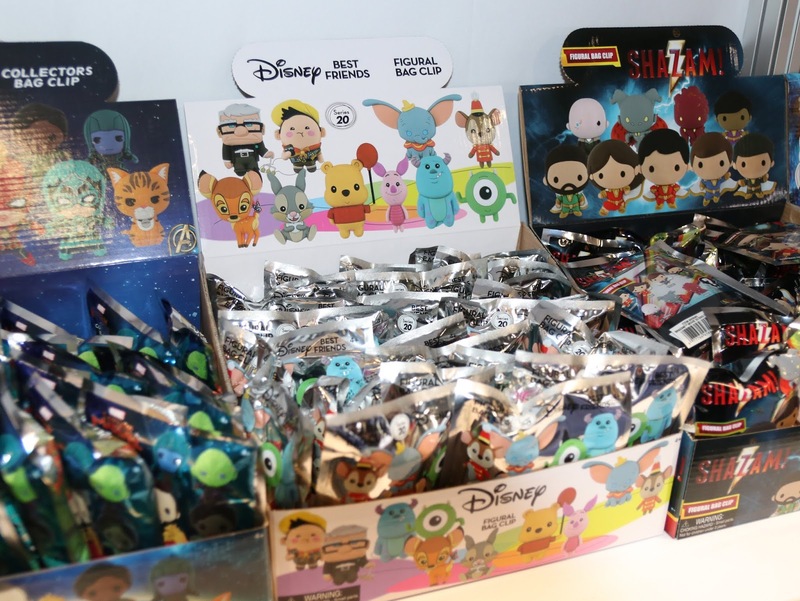 Everyone's favorite Toy Story "Minis" blind bags collection is continuing on with new packaging and brand new characters from Toy Story 4! 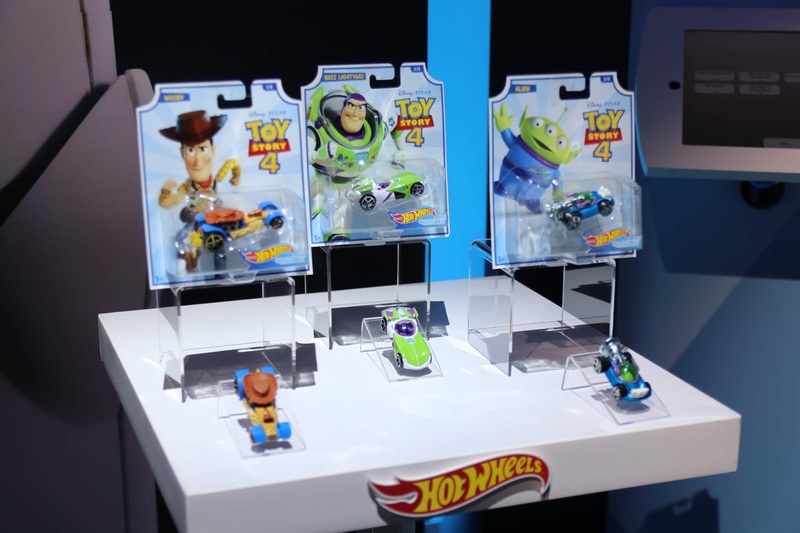 These are in the vein of Mattel's classic line of basic Toy Story poseable action figures, but now a scale bigger! I was surprised how big they actually were once I saw them in person. They look great! 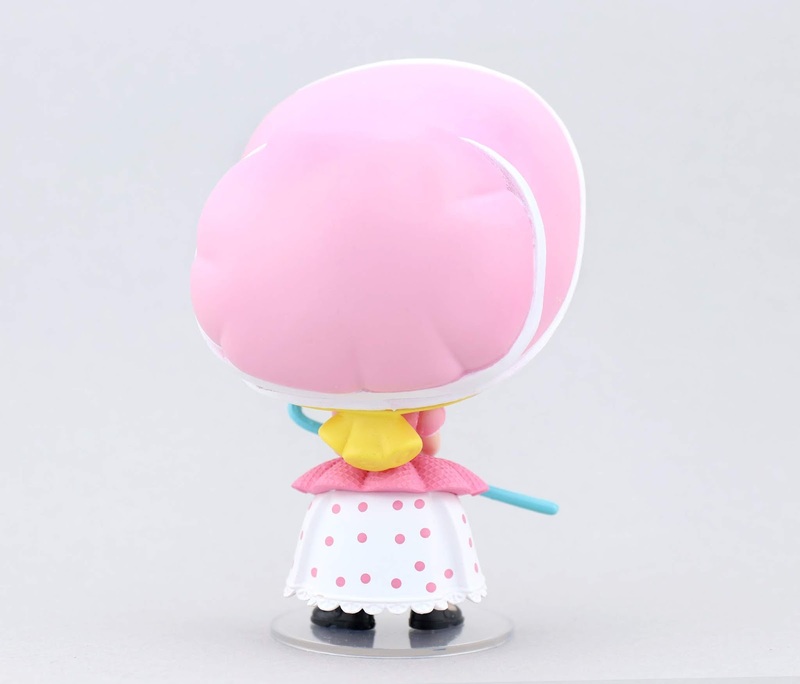 For use with the 7" figure line above! 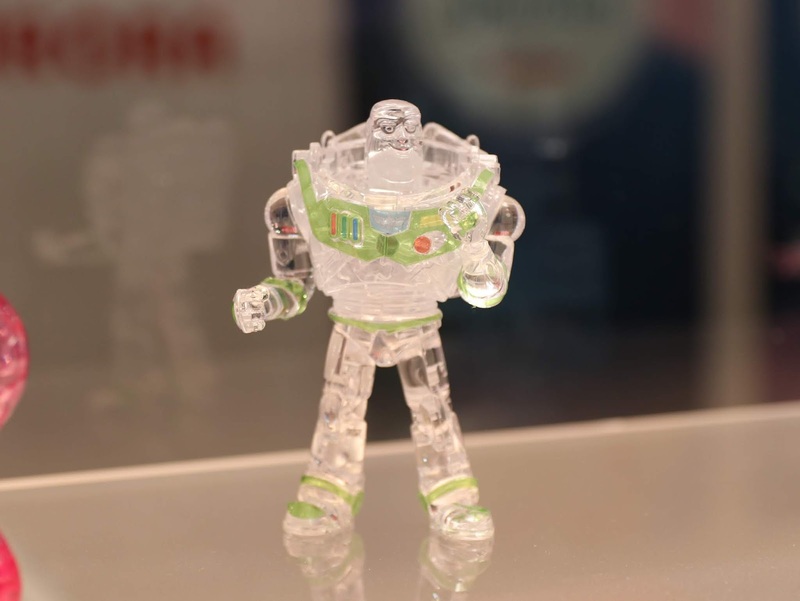 Comes with a unique glow in the dark Buzz, exclusive to the set. 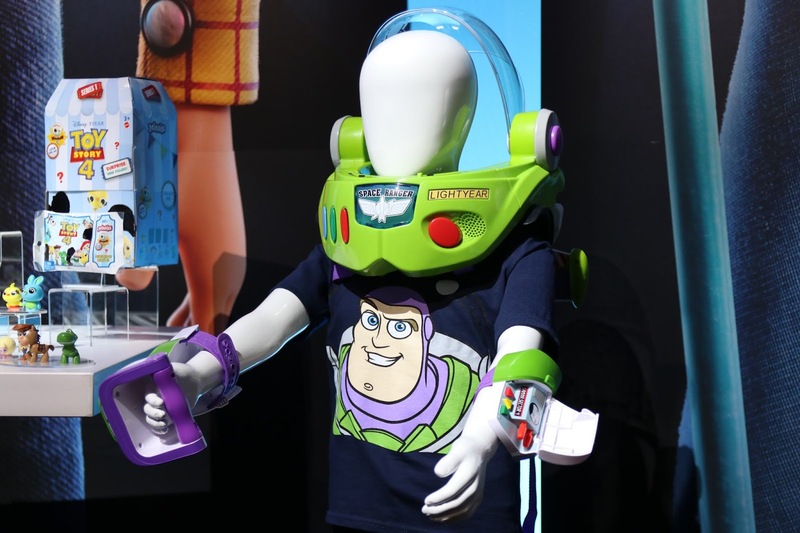 Buzz Ultimate Space Amour and Bo Pee's Action Staff! 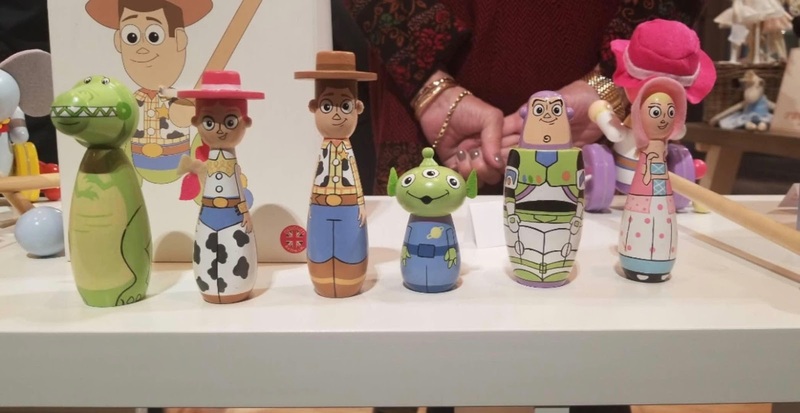 These were originally available in 2010 for the release Toy Story 3, repackaged here for Toy Story 4. 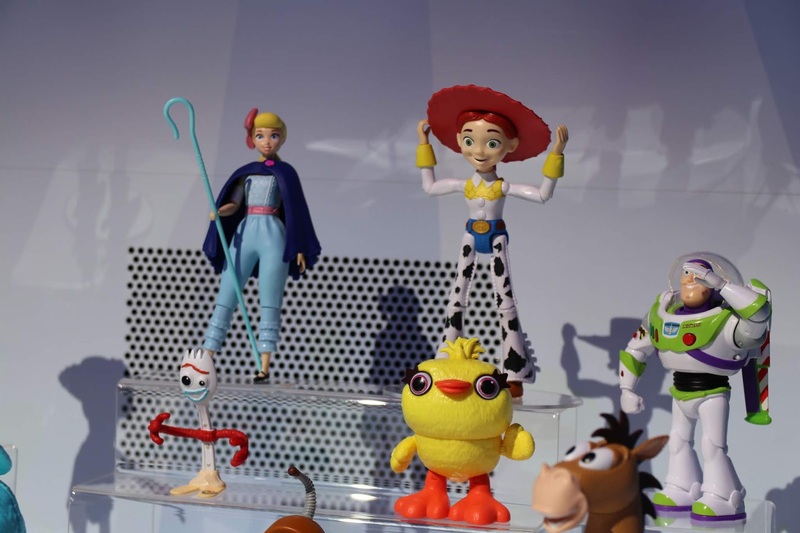 Hopefully we see new characters in this lineup as well. 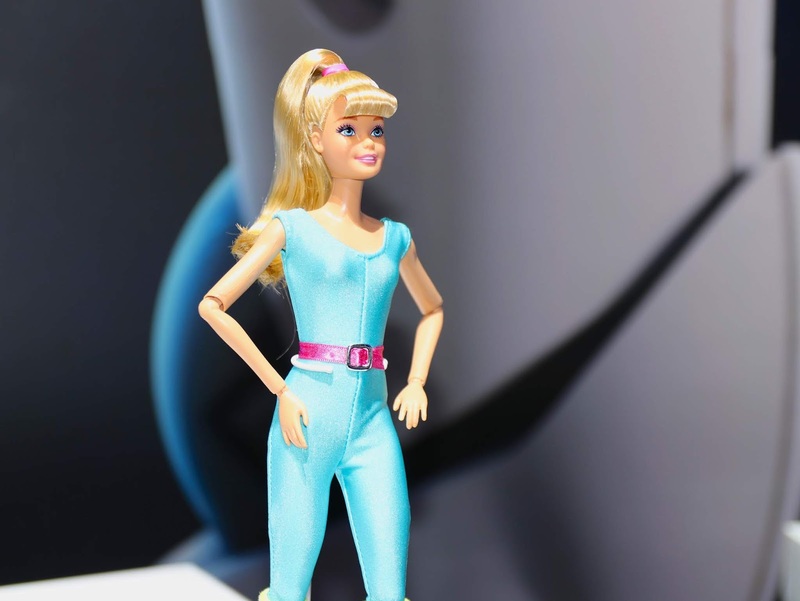 Bo Beep and Barbie! I'm especially excited to see Barbie making a comeback (and looking better than ever), since I missed her release at the time of TS3. 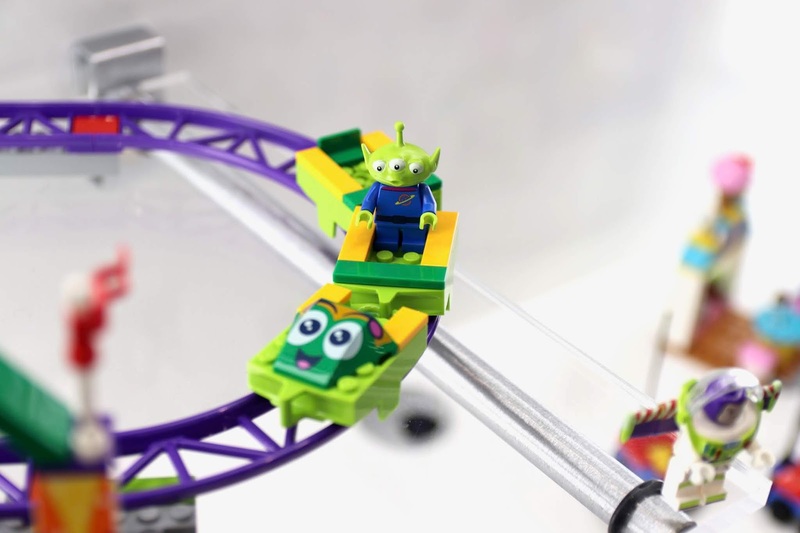 This giant Imaginext set was also shown, known as Buzzbot! 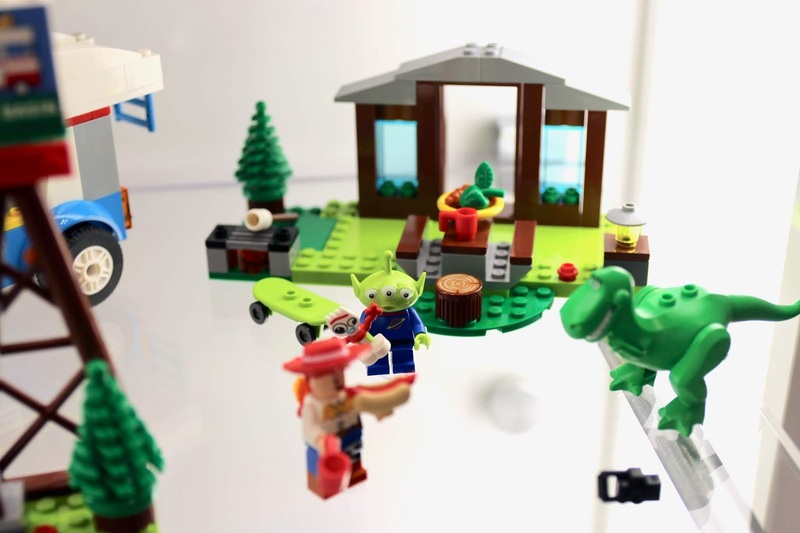 Really hoping to see more Imaginext sets soon, based on actual characters and scenes from TS4. 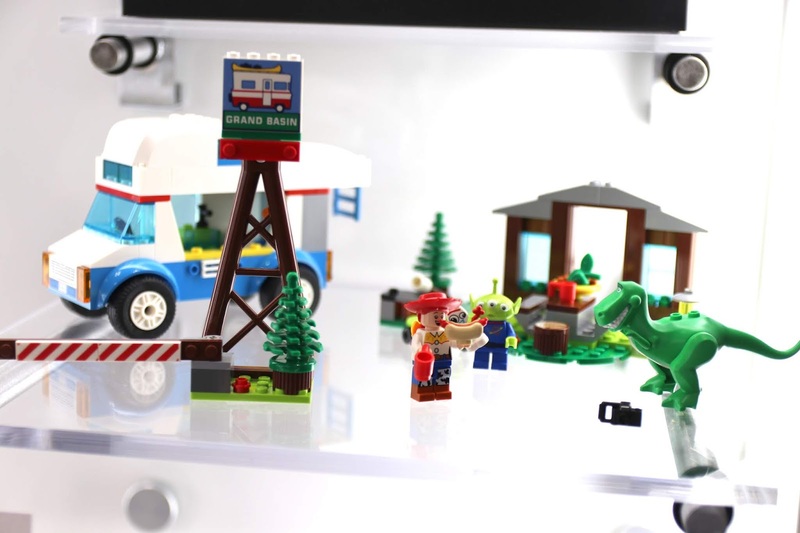 Pretty cool though, kids will love it. 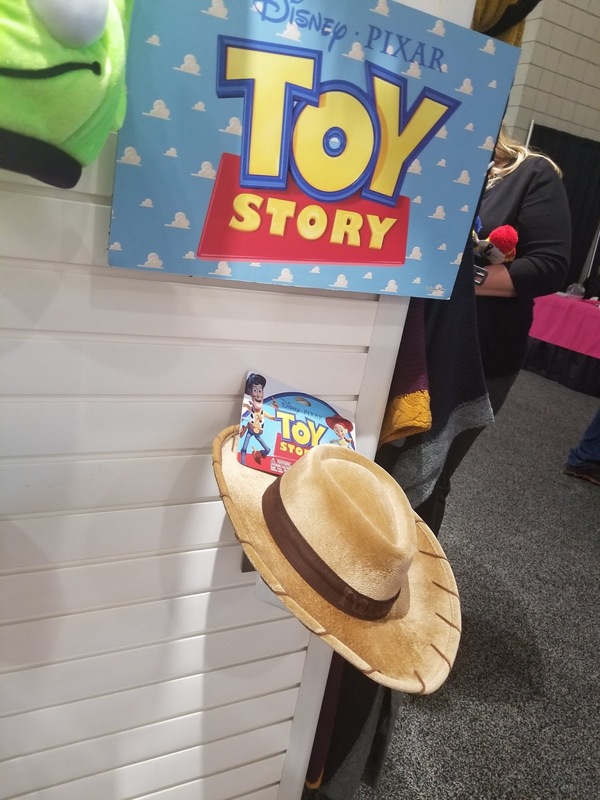 That's all that was shown at the Toy Story 4 Mattel booth! 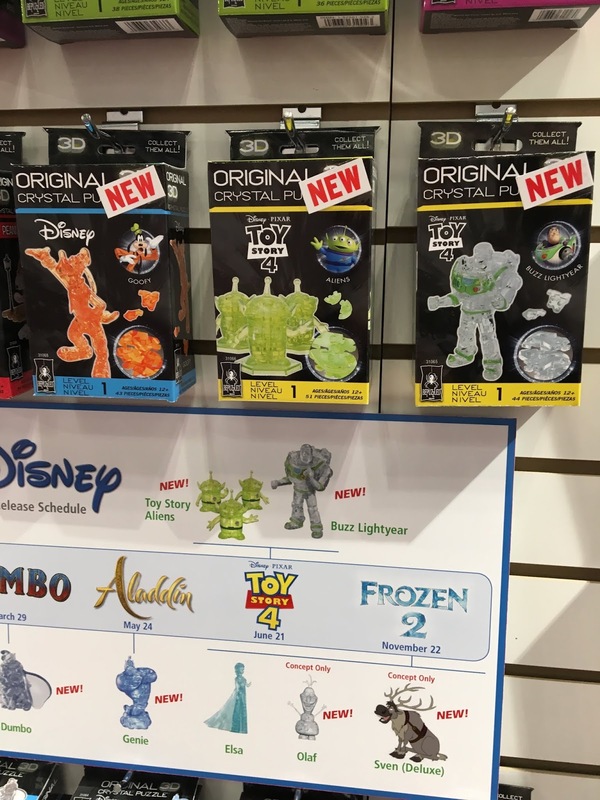 Of course this isn't everything that will be released on April 22nd, so look forward to many more exciting reveals in the coming months. 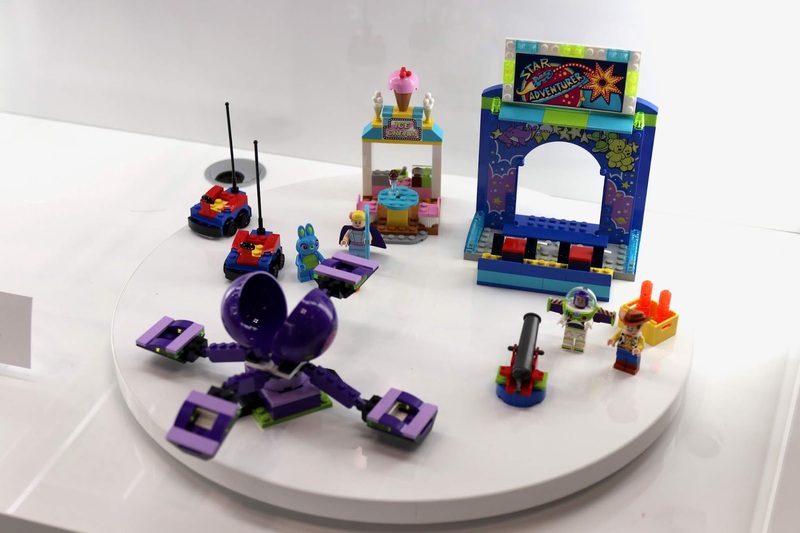 Now onto the Lego booth, which also featured some really cute upcoming Toy Story 4 sets! These will be available on April 22nd as well. 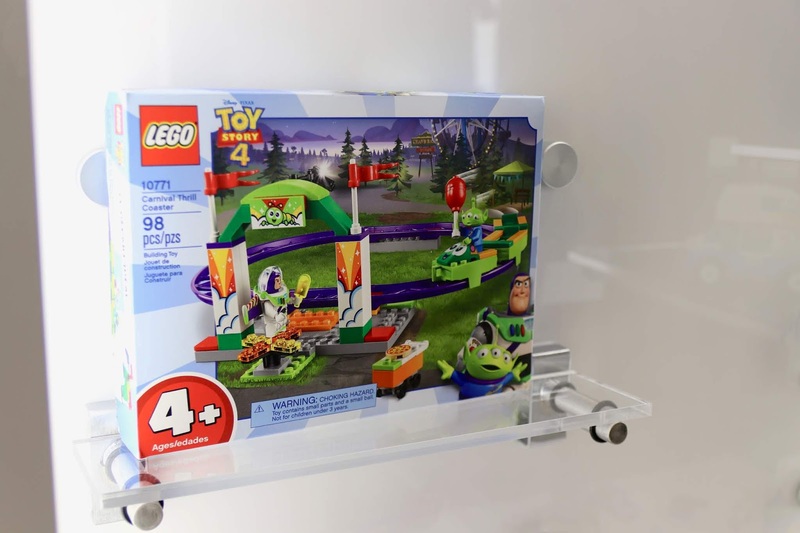 Who's excited for this adorable Lego Forky!! 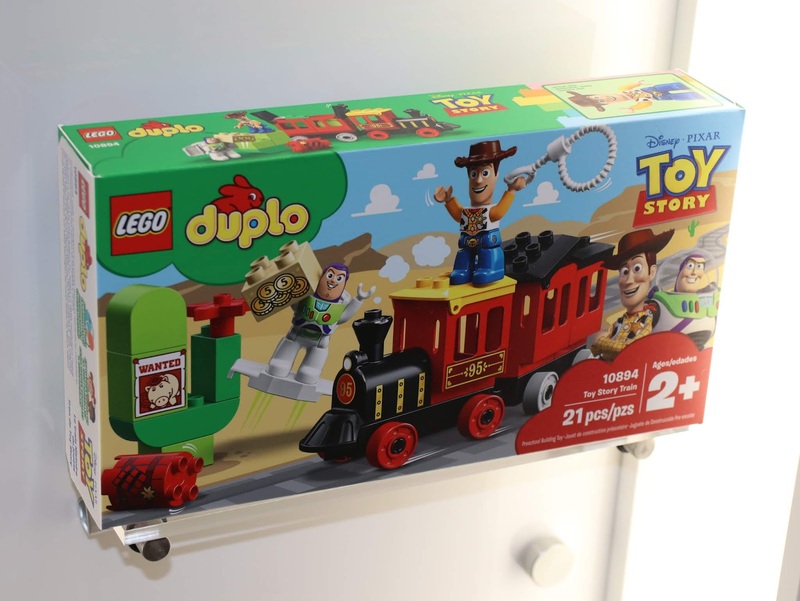 One new Lego Duplo set was shown as well, however this one is inspired by TS3 and is very similar to a train set already released back in 2010. 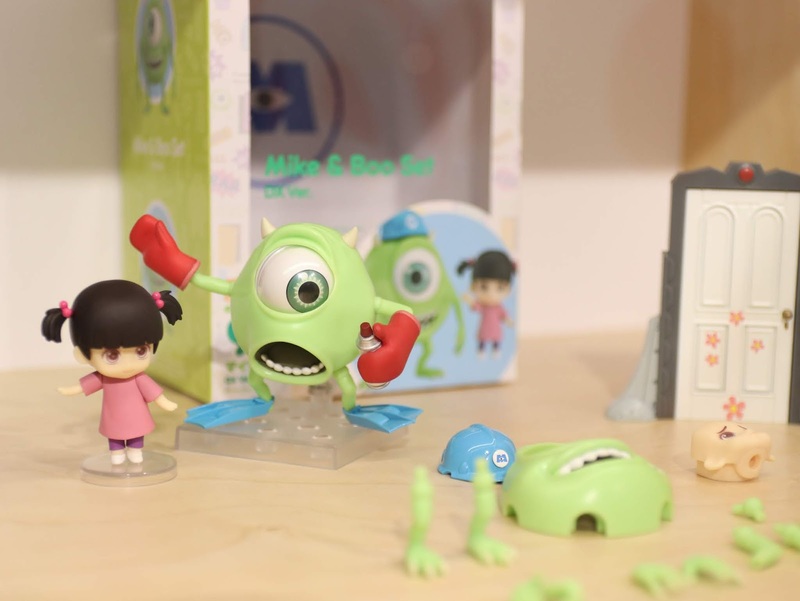 Very cute regardless, sure to be a big hit with little fans. 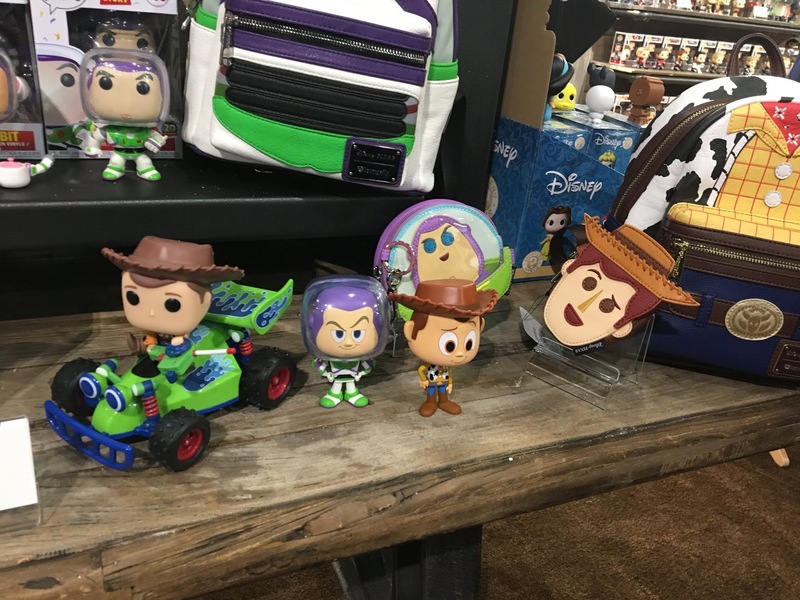 A few Toy Story Funko products were on display, including the already revealed RC & Woody "POP!" 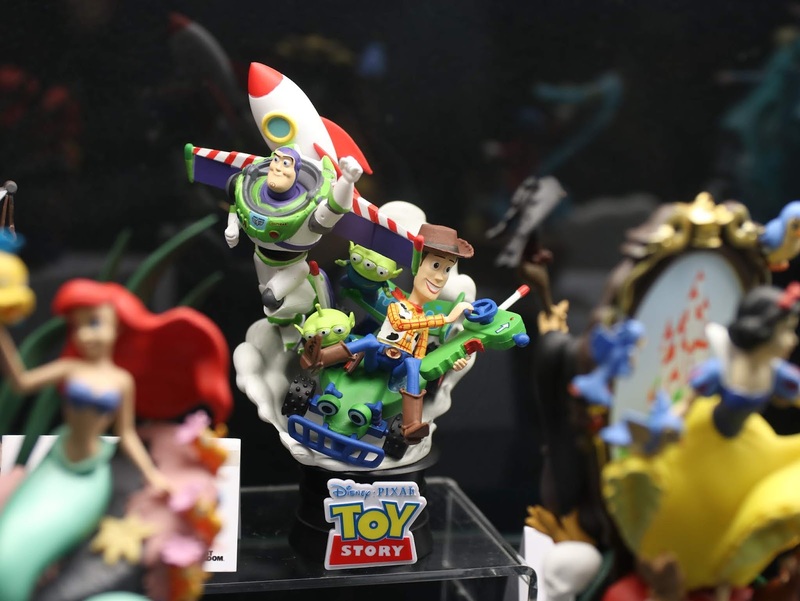 Ride, Buzz and Woody Loungefly backpacks and the soon to be released Buzz and Woody "Vynl" Collectibles. 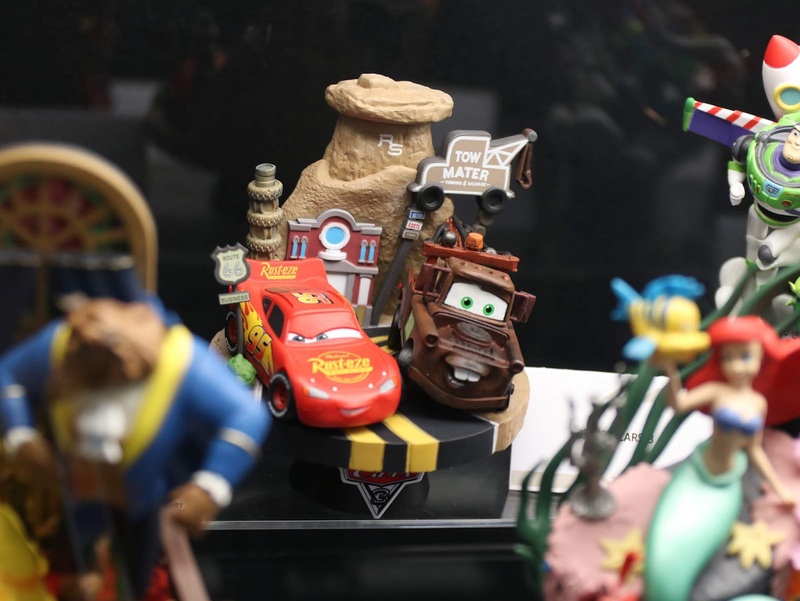 Check out these Cars and Toy Story "D-Stage" Diorama Statues from Beast Kingdom! Both of these are available now. 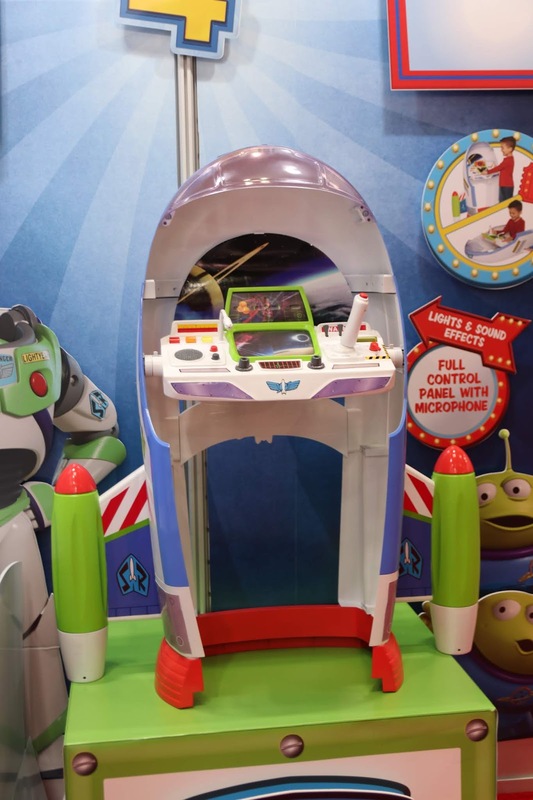 Exquisite Gaming had a really cool new Toy Story 4 Buzz Lightyear game controller/phone holder as part of their "Cable Guys" line. 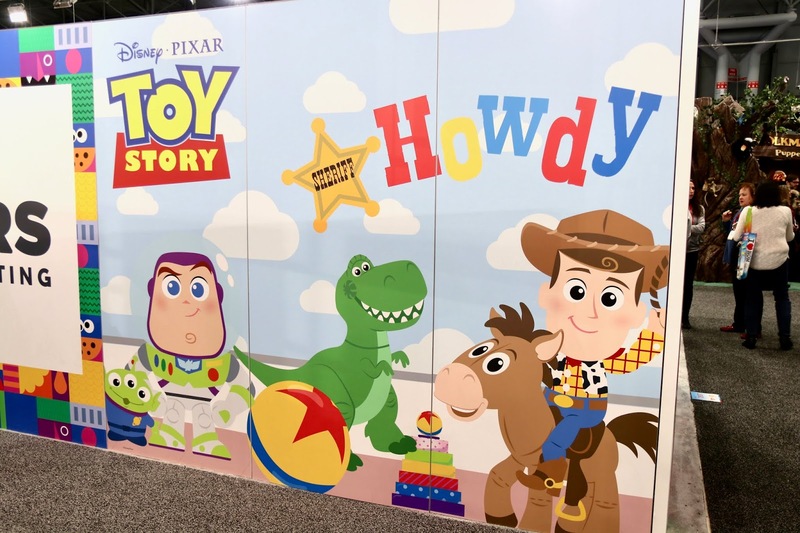 And here's just some really adorable Toy Story wall art I saw while walking around the show floor! 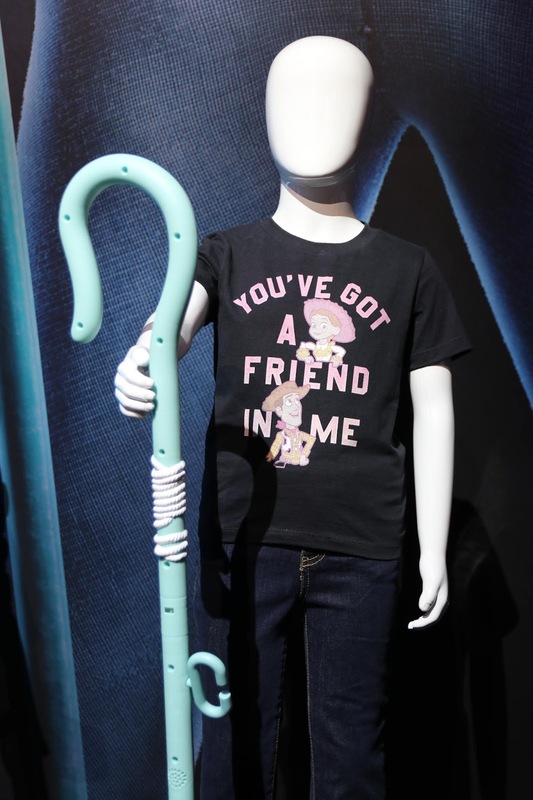 It didn't seem to be tied to any specific merchandise, but I thought it was too cute not to document. Not sure who the artist is, but please let me know if you have any insight. 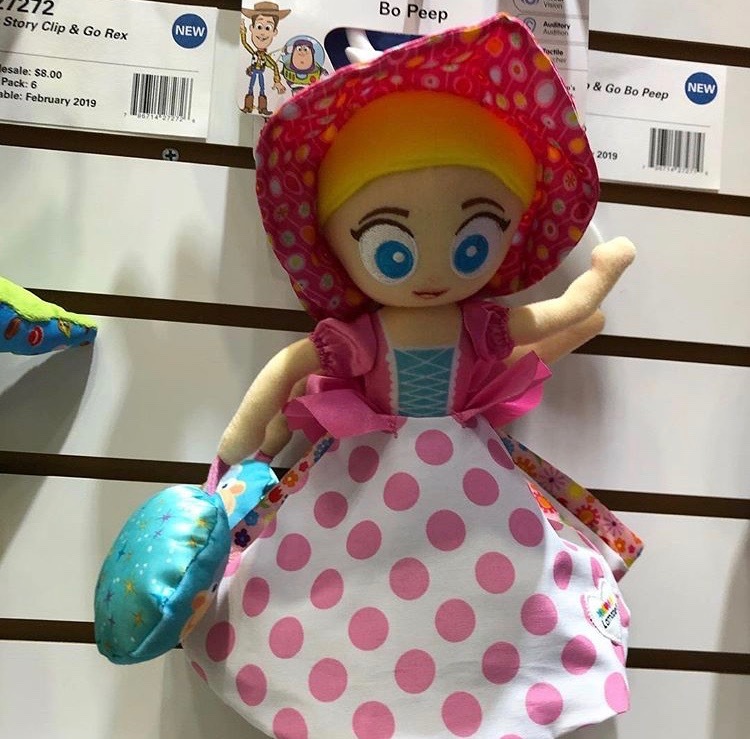 Lastly there were some items I missed (there was a lot of ground to cover), so thanks to fellow attendees Cathy S (@Proudfan92) and Tiffany (@Tubey_Toys) for sharing the below pics with me! Really cute stuff. 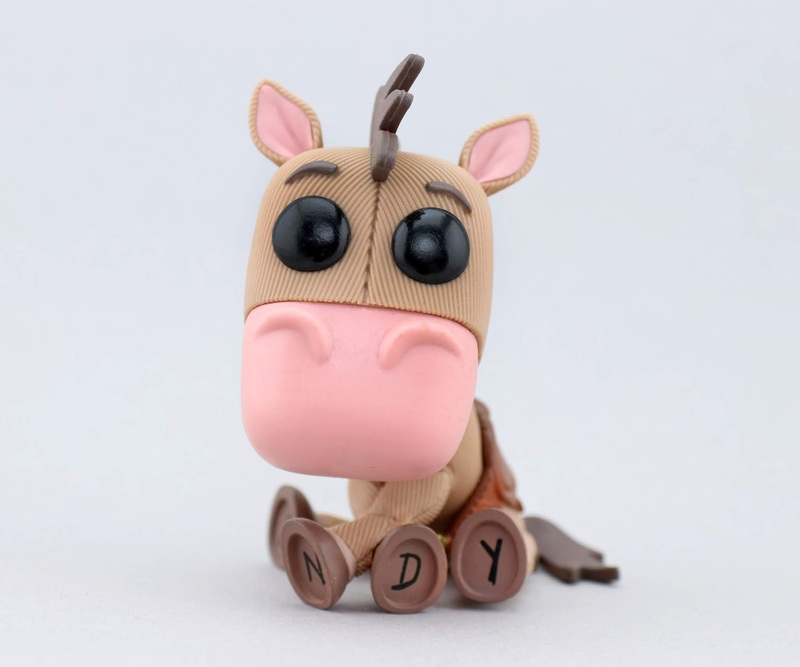 From UK based company Orange Tree Toys, look at these insanely cute Toy Story wooden baby toys! 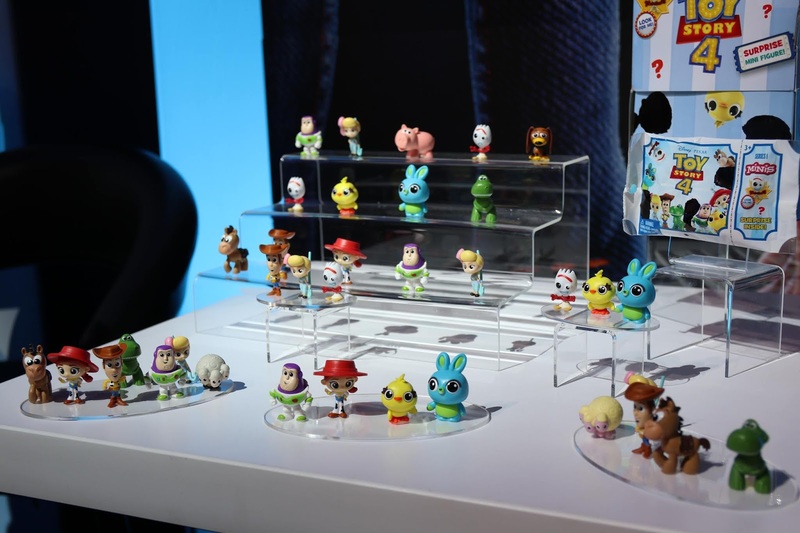 I'm really hoping these get released in the US as well. 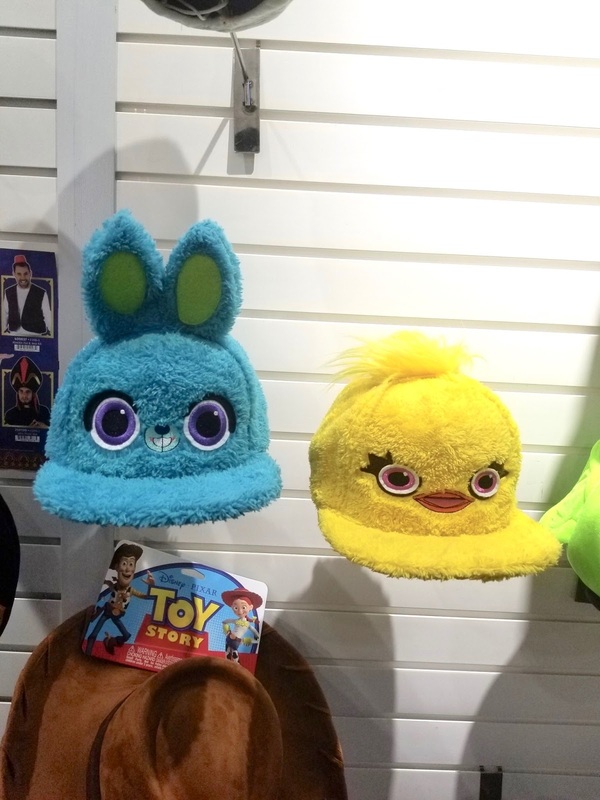 Next up, check out these hats featuring Toy Story 4 characters Ducky and Bunny! 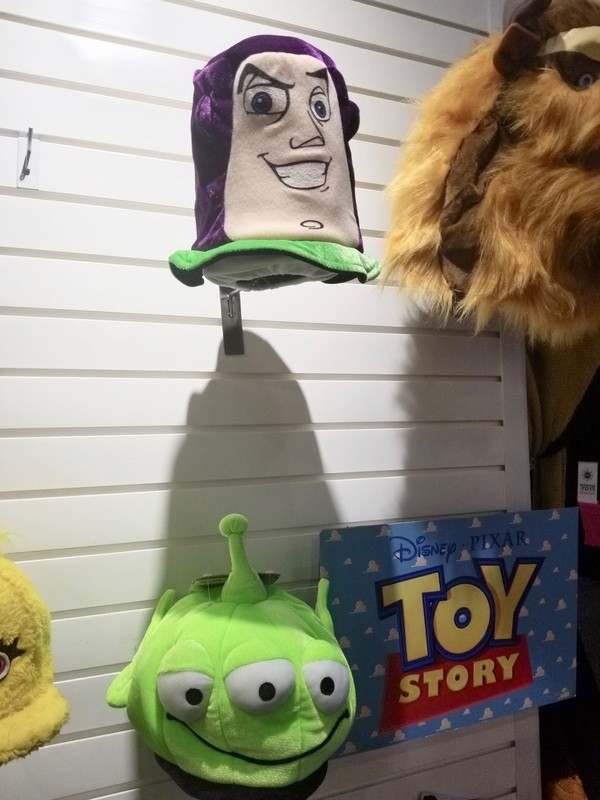 I'm not sure which company these hats were from, but I did see them while I was there. I tried to take a photo of them and I was stopped! Oh well, here they are anyway thanks to Cathy. 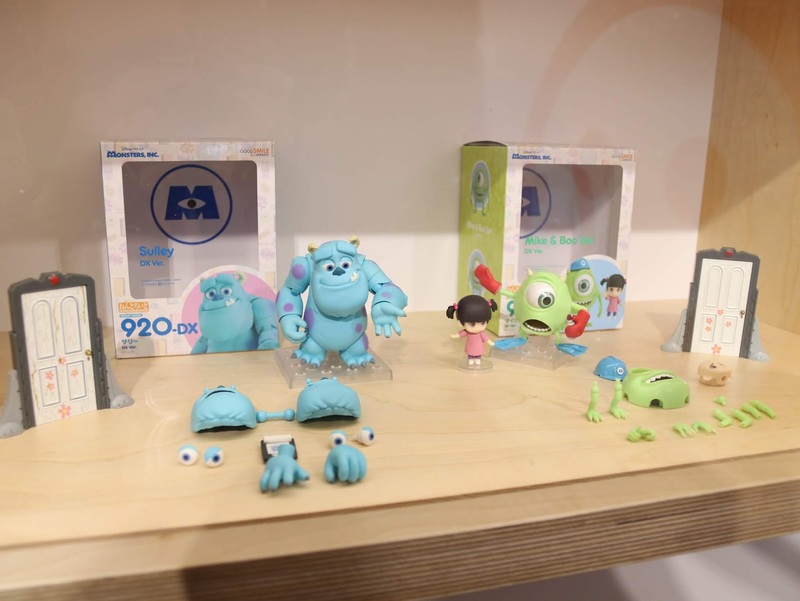 I should have gone in the Bandai booth, but didn't think they had anything Pixar this year! 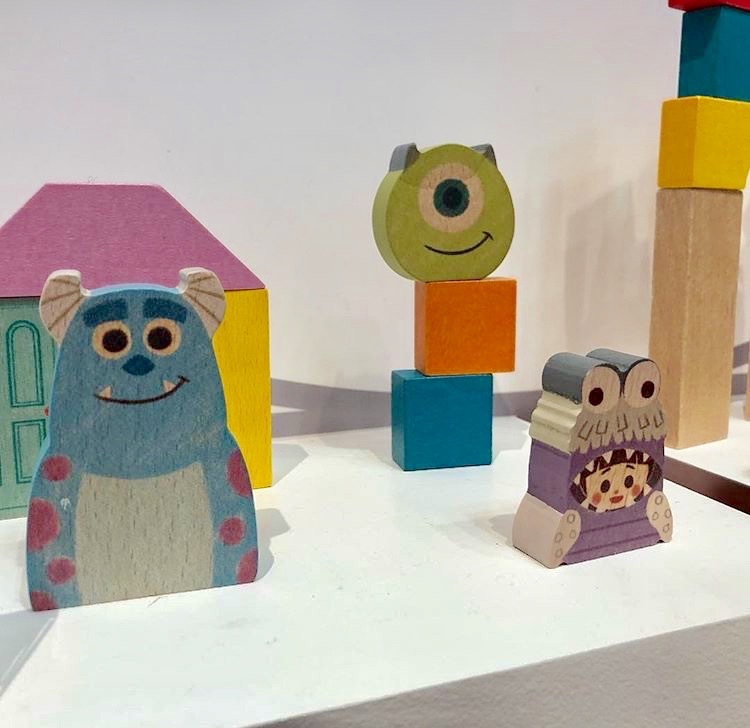 I missed out on seeing these—more cute wooden baby toys, this time blocks. These are must haves! 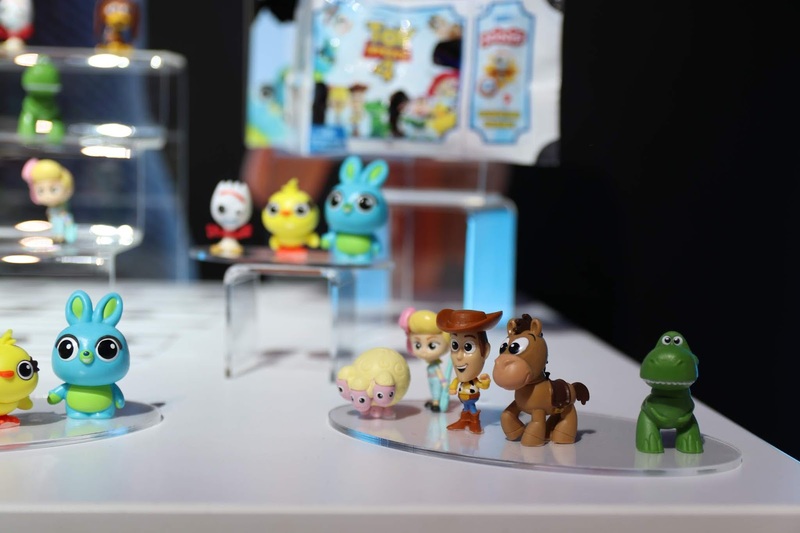 Apparently these are already available internationally, but will see a US release date later this year. 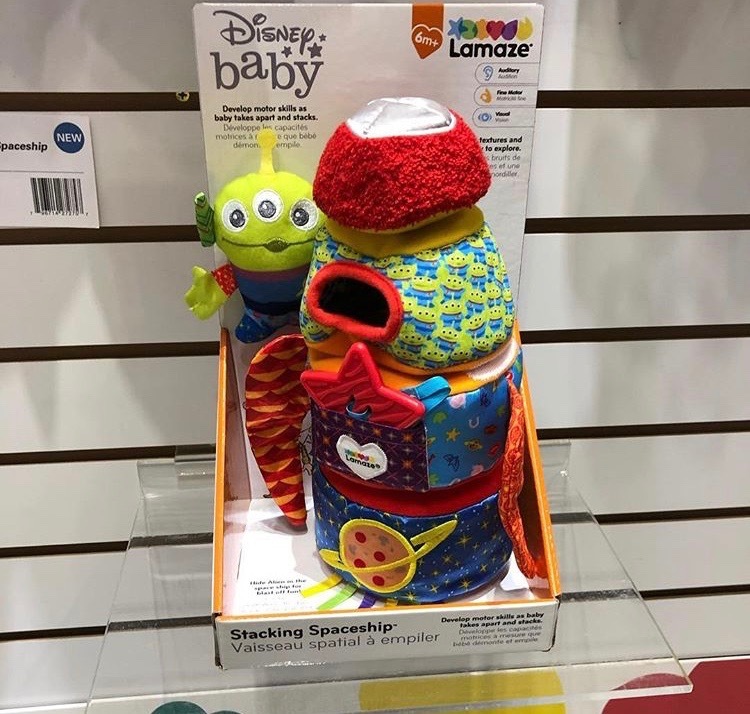 Thanks for sharing Tubey Toys! 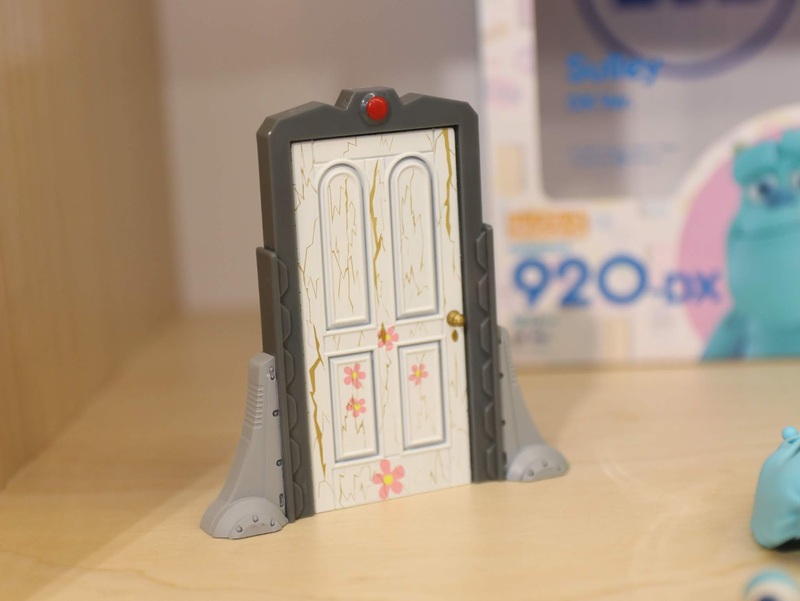 Again, I should have gone in the TOMY booth because I missed out on these! 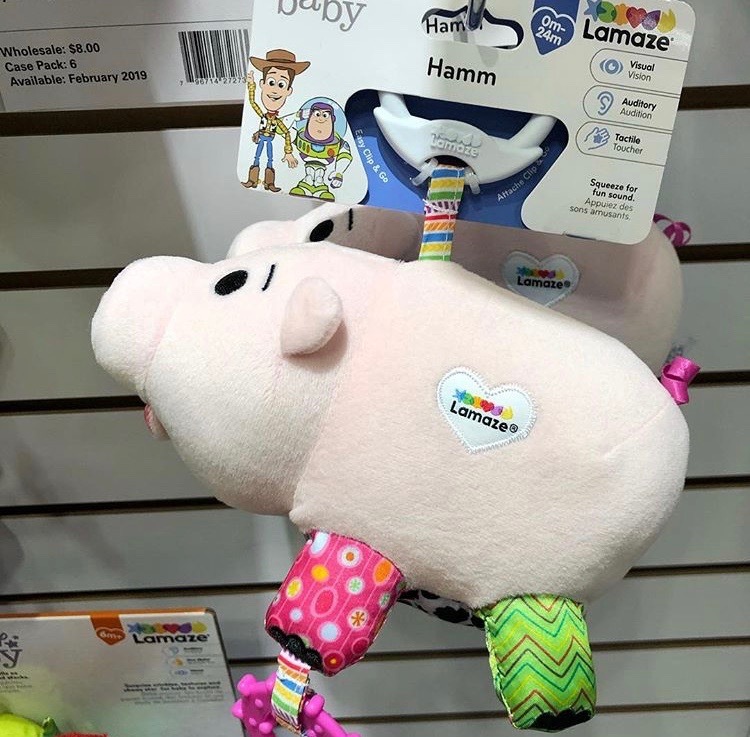 More baby toys, but this time the soft variety. 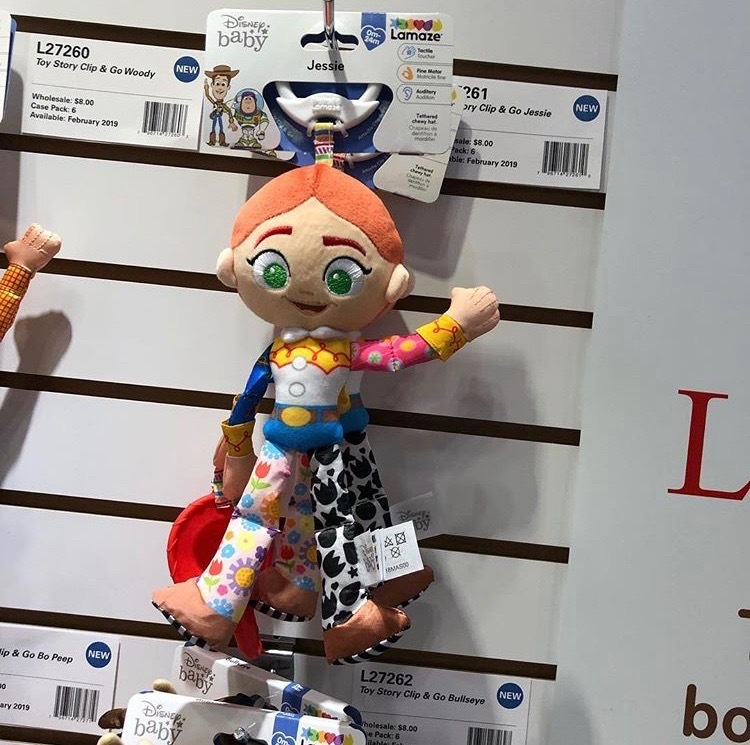 These toys, under TOMY's Lamaze banner, will be released as soon as March. That about wraps everything up! I'm so grateful for the time I was able to have there, the items I was able to see, the people I was able to meet and the contacts I was able to make. 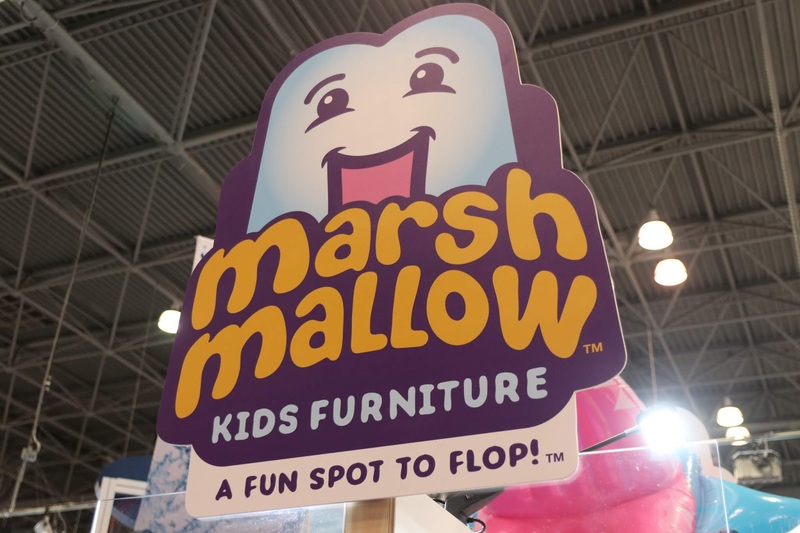 I was able further my relationships with many companies and get my name out there a bit more, which was very encouraging for me. 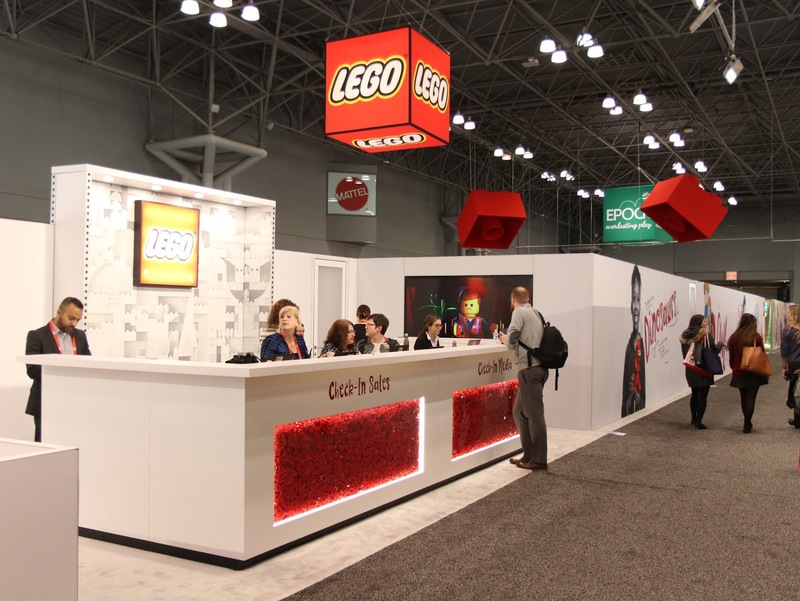 I'm also grateful for all the representatives that were able to squeeze me in (schedule-wise) for booth tours since all my planning was last minute! Everyone was very accommodating. Next year I'll have things planned out a bit more ahead of time and hopefully even be able to attend more than one day. I hope you enjoyed this coverage. I would love to hear all your thoughts below! 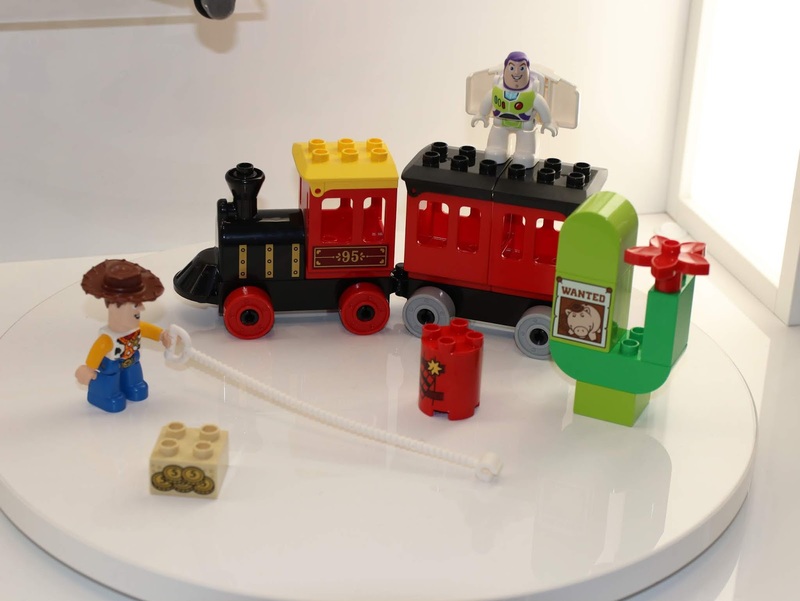 What are your favorite items? What are you looking forward to the most? 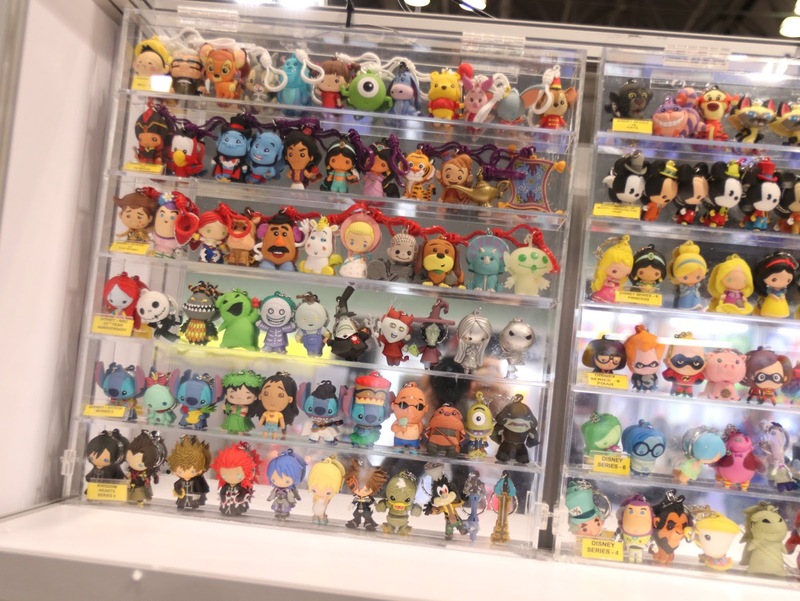 Have you seen anything from NYTF that is Pixar that I didn't touch on here? Let me know down in the comments!